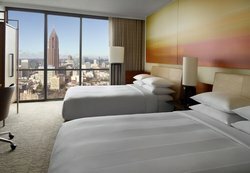 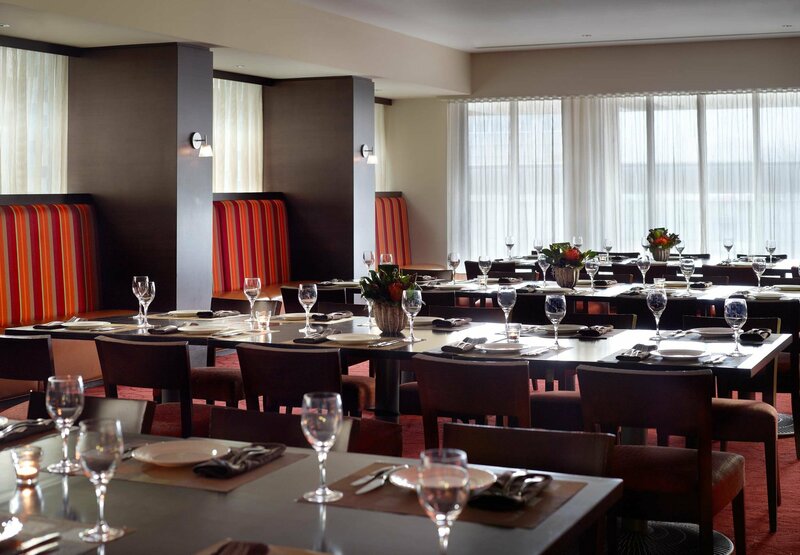 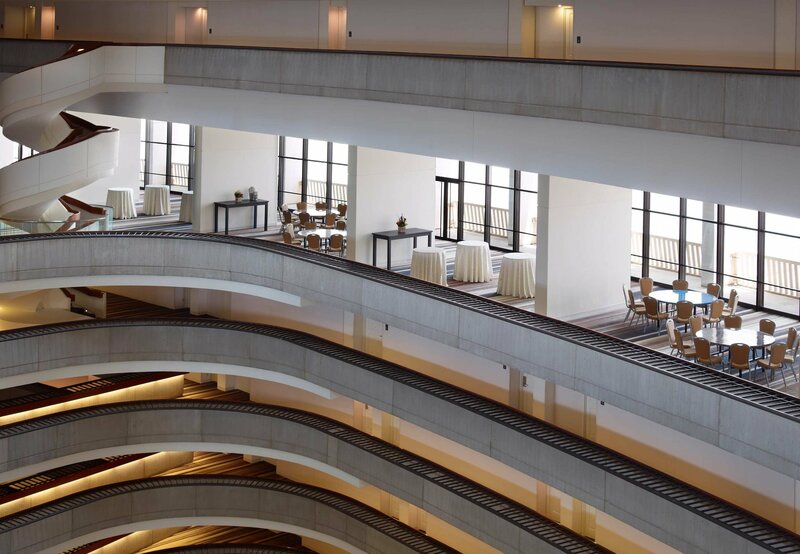 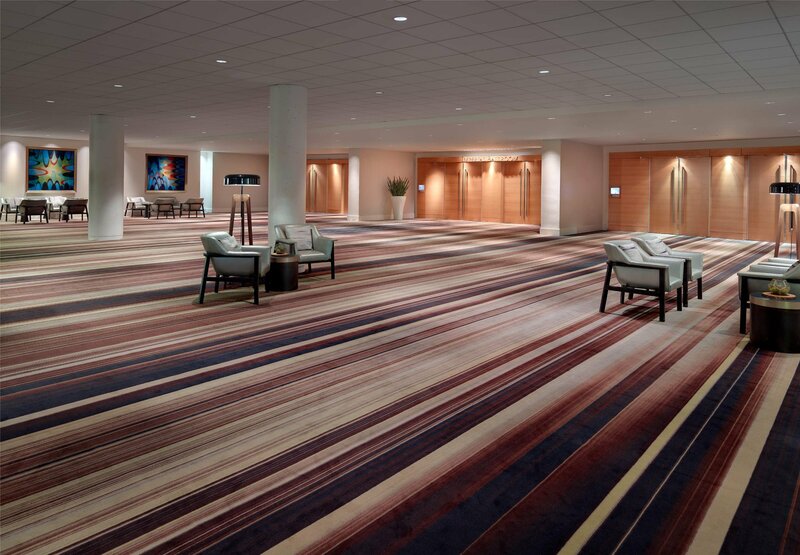 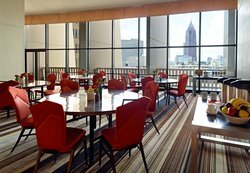 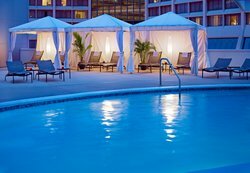 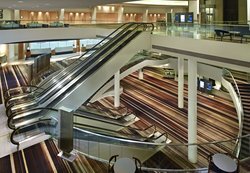 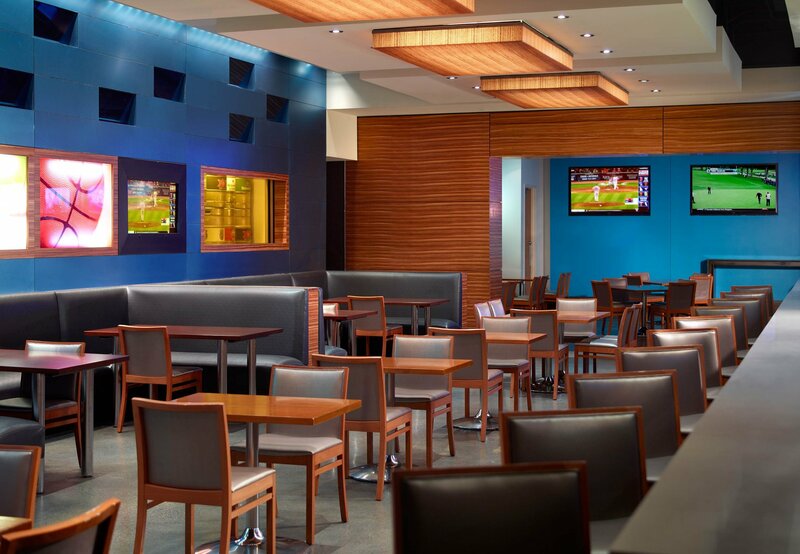 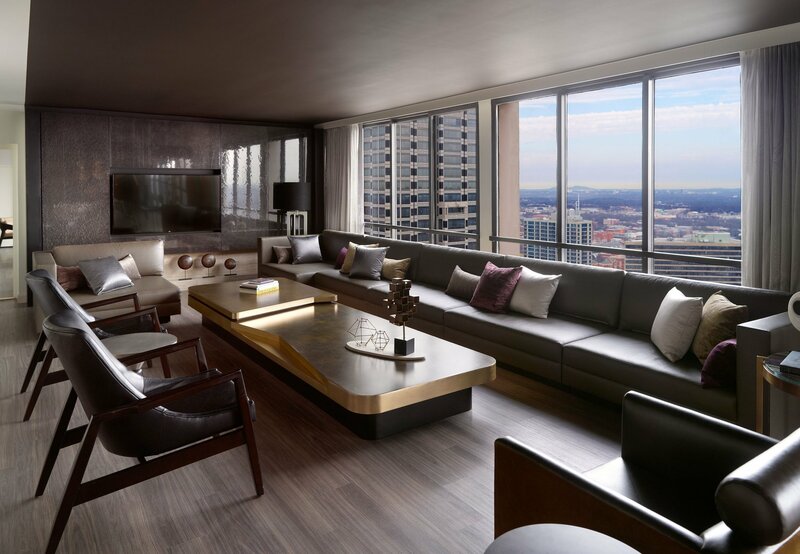 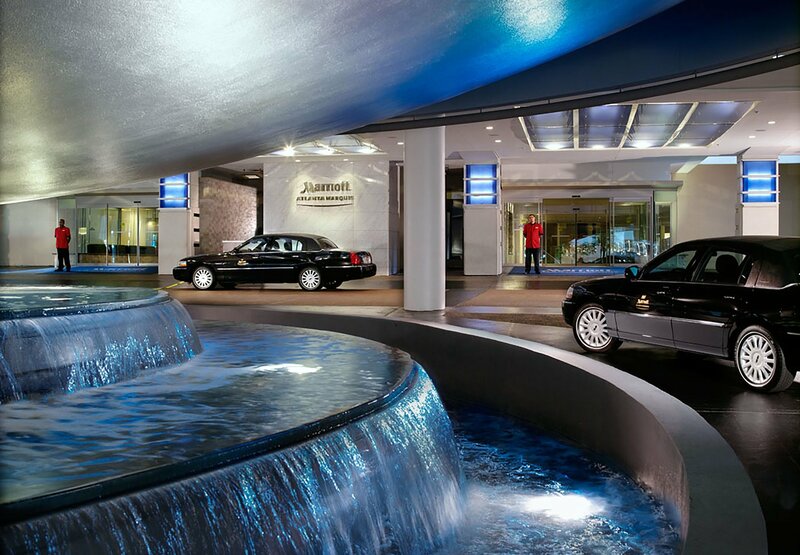 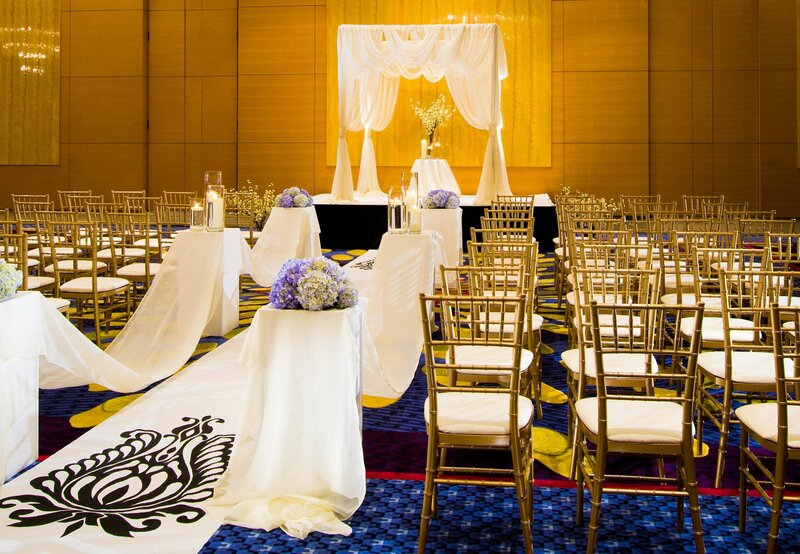 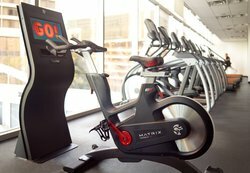 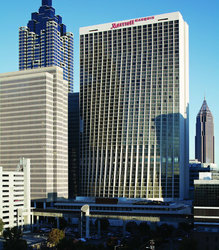 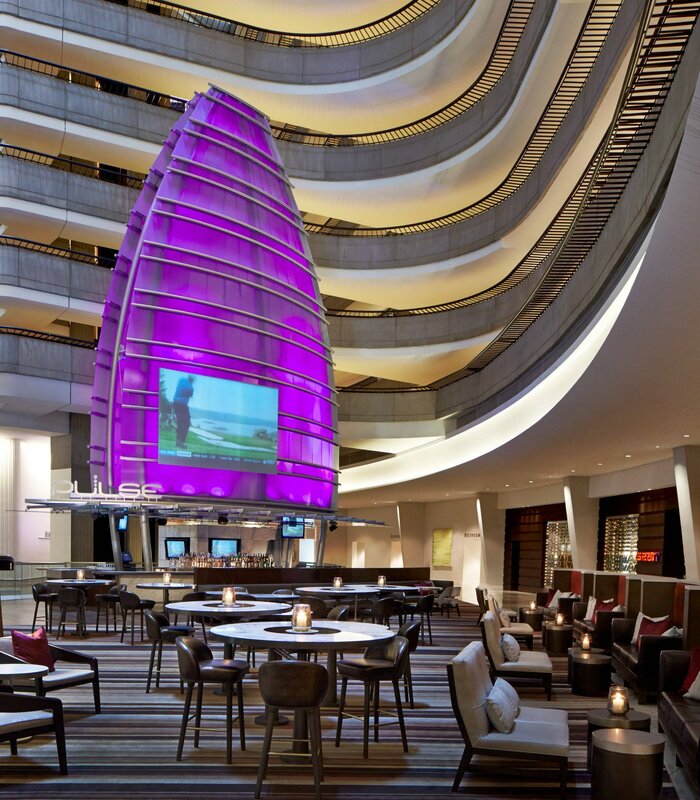 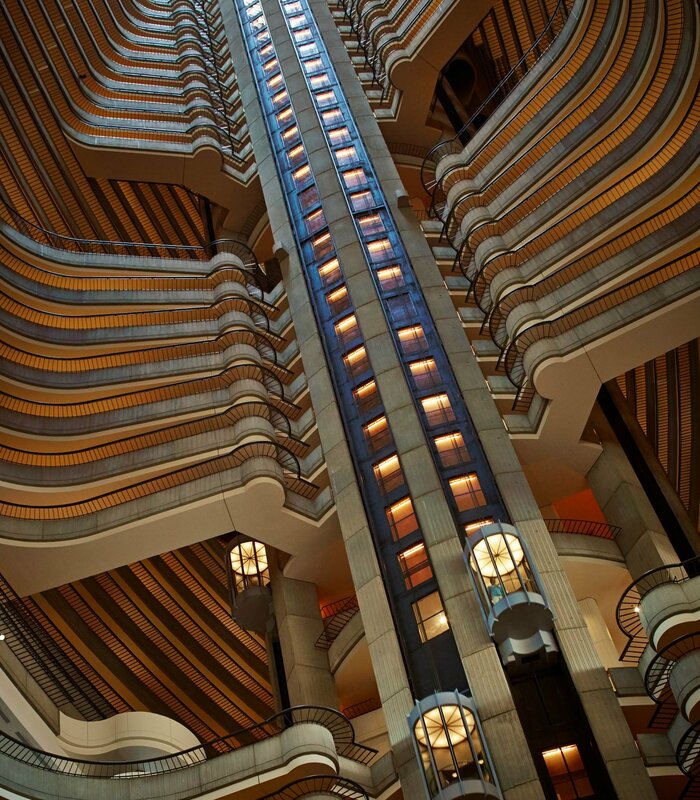 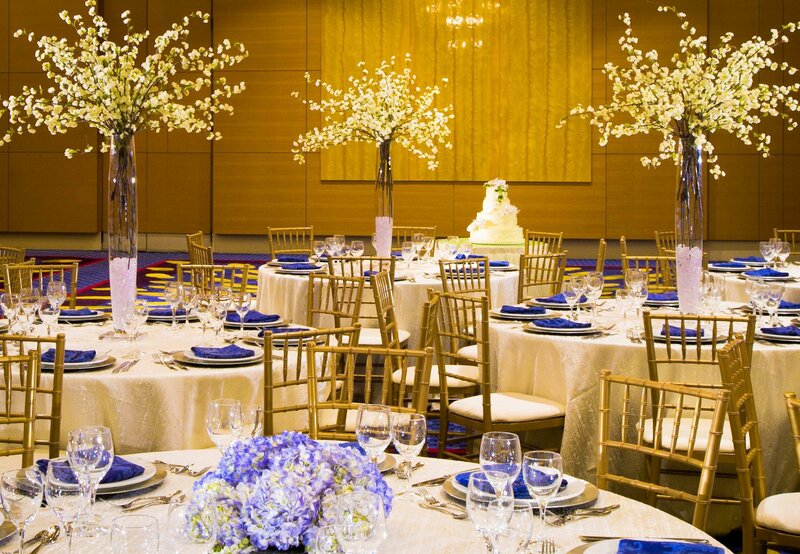 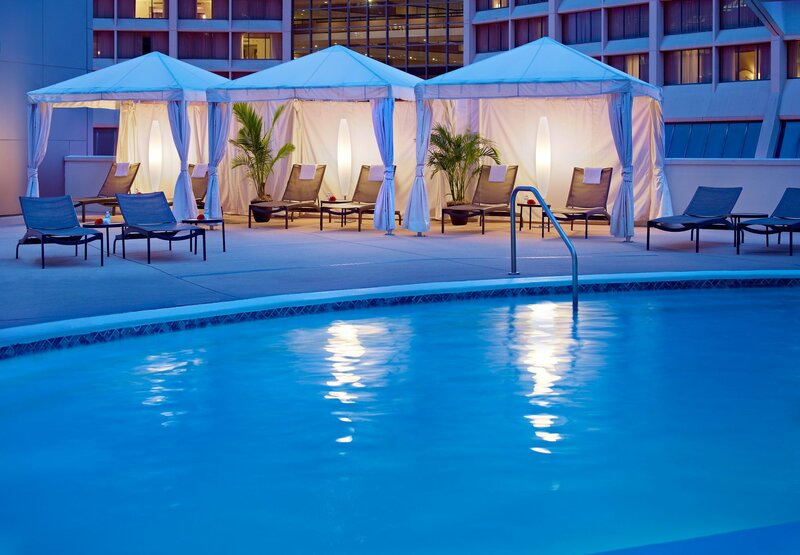 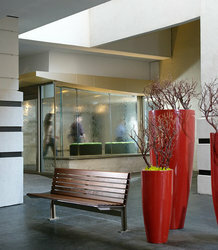 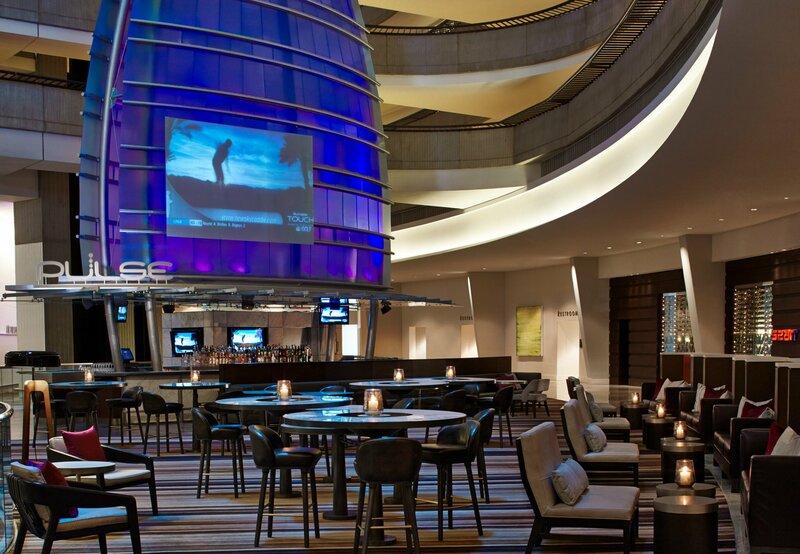 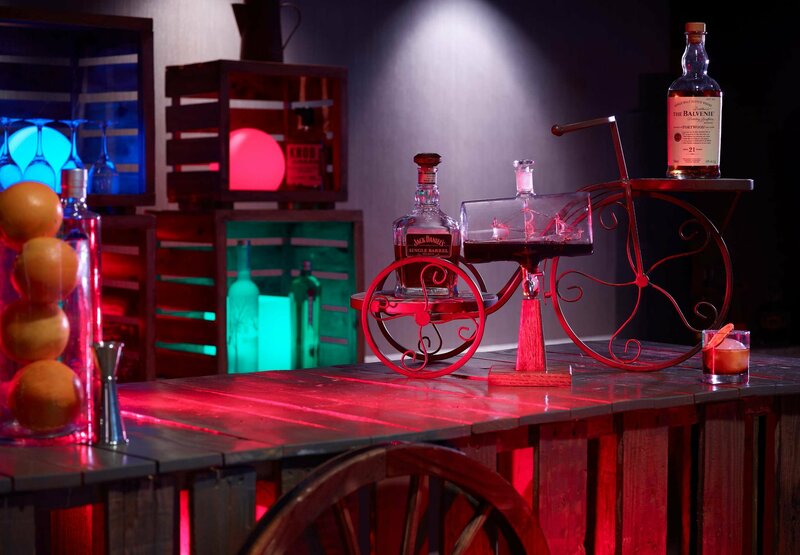 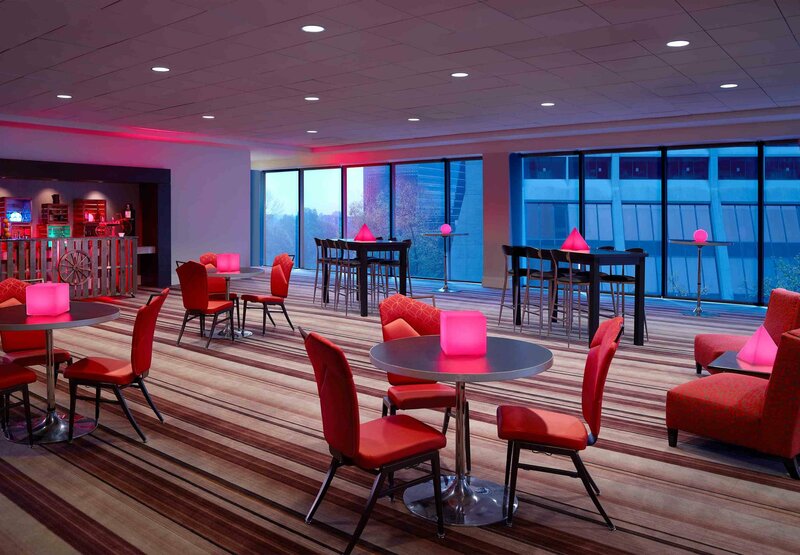 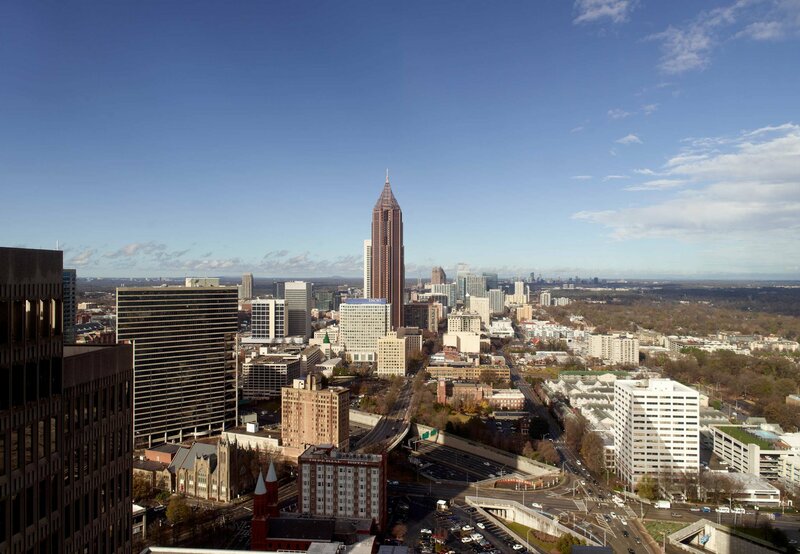 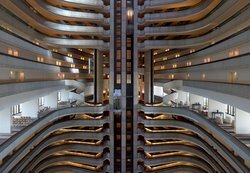 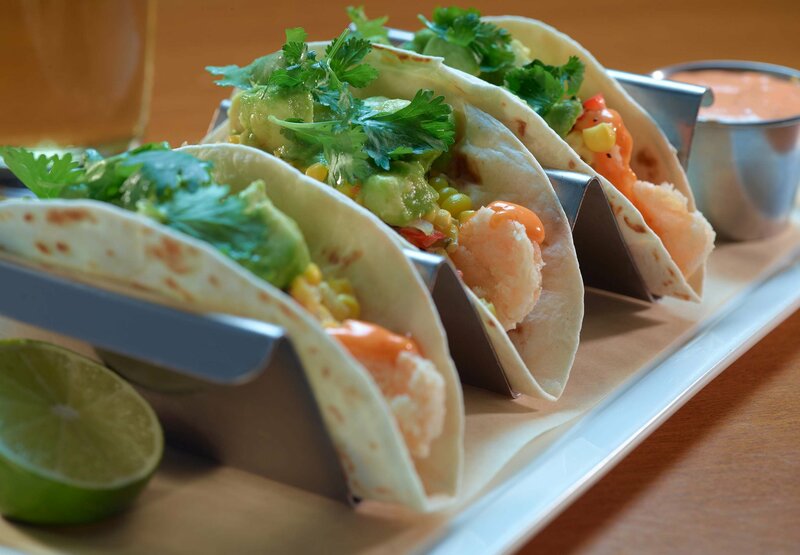 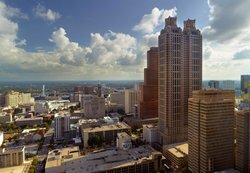 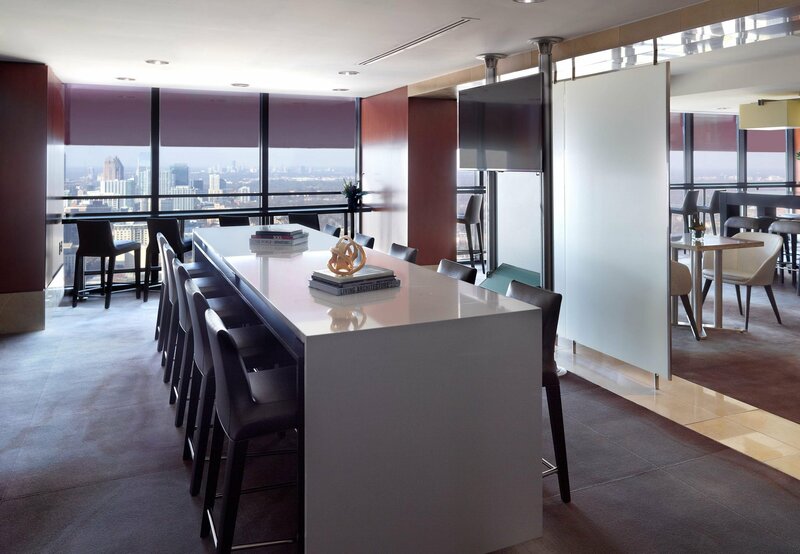 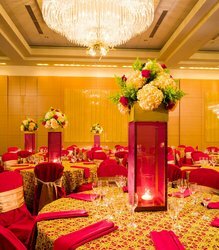 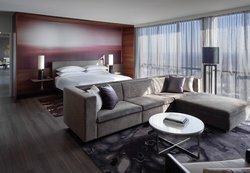 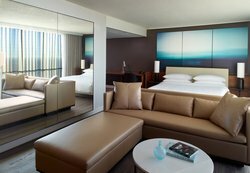 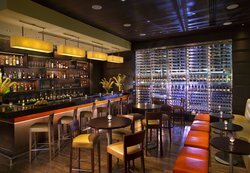 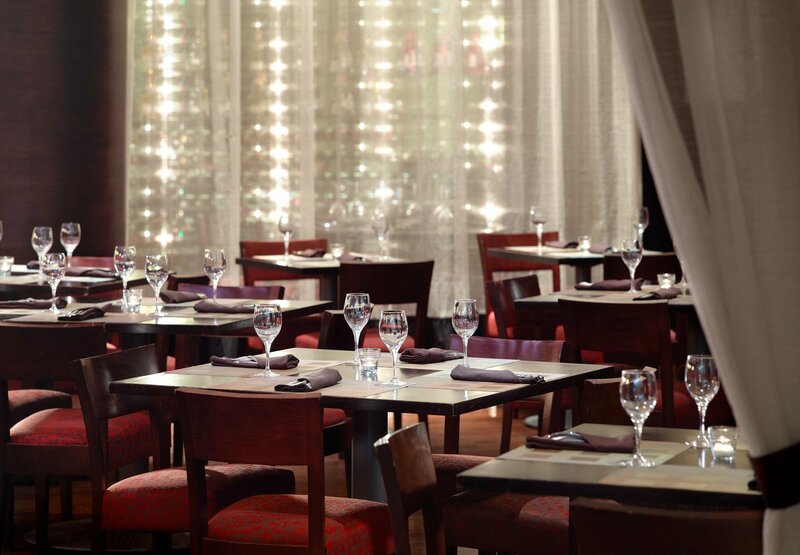 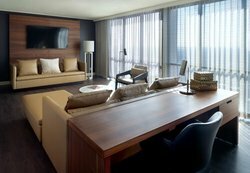 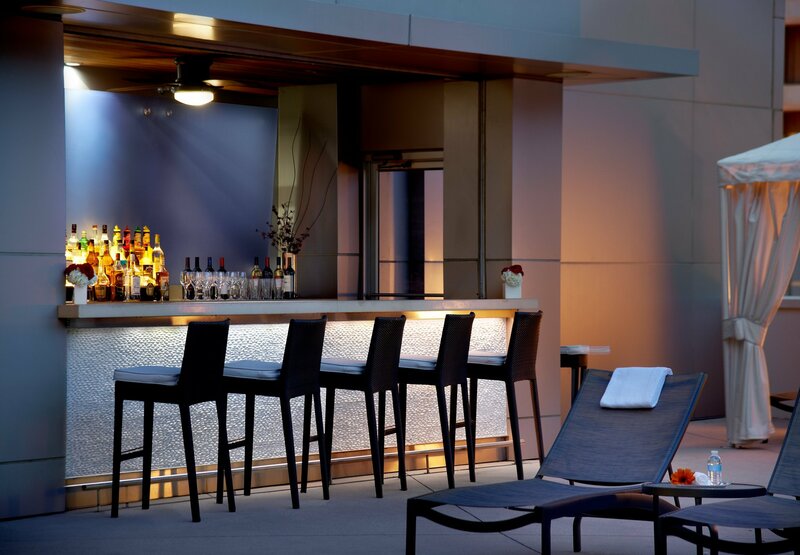 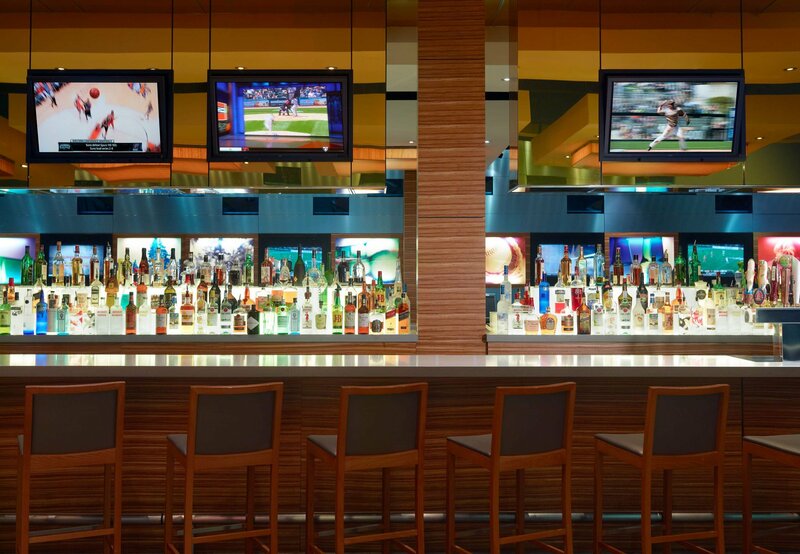 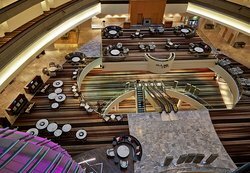 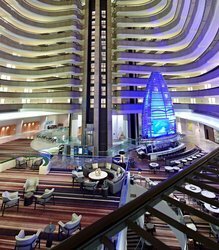 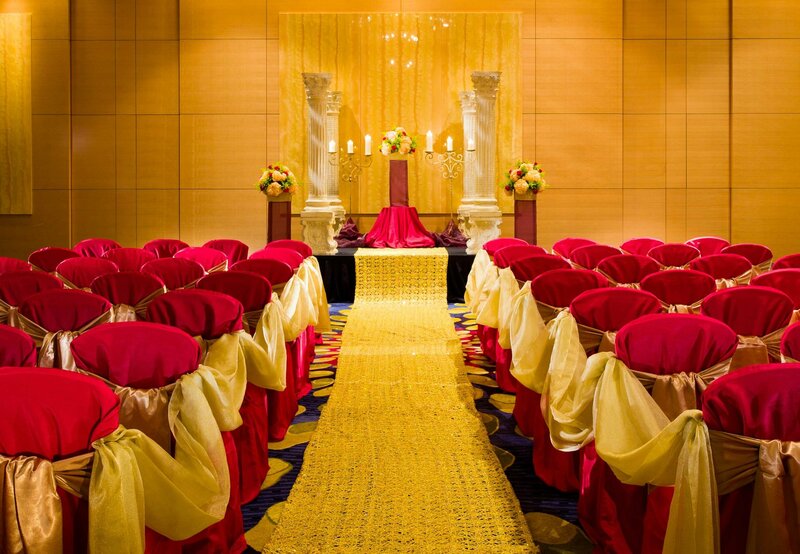 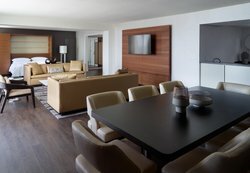 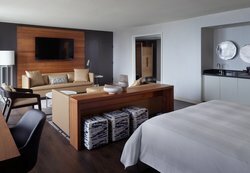 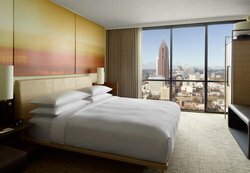 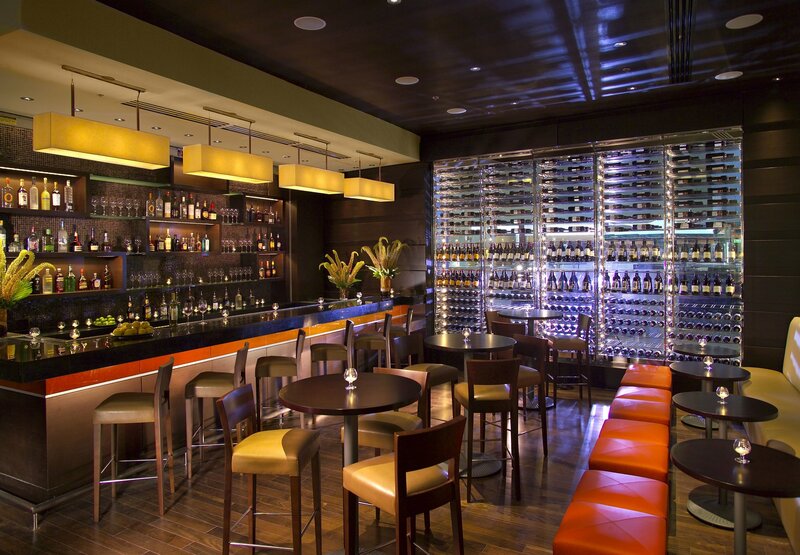 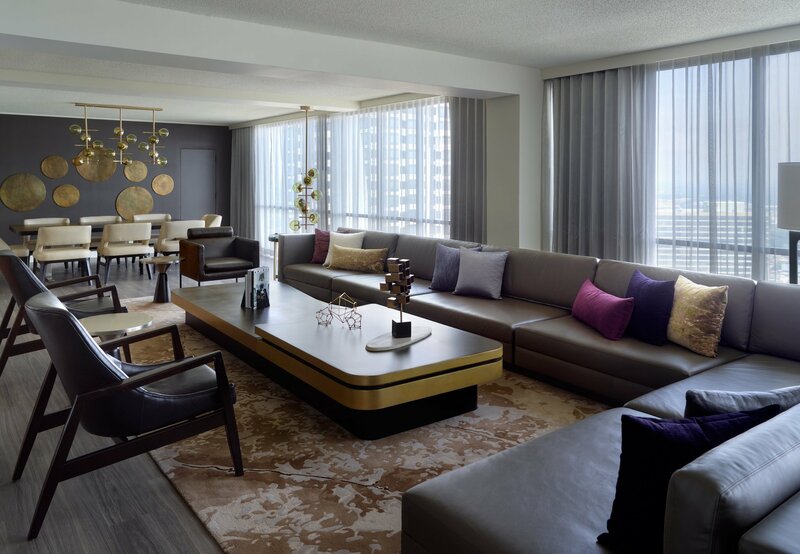 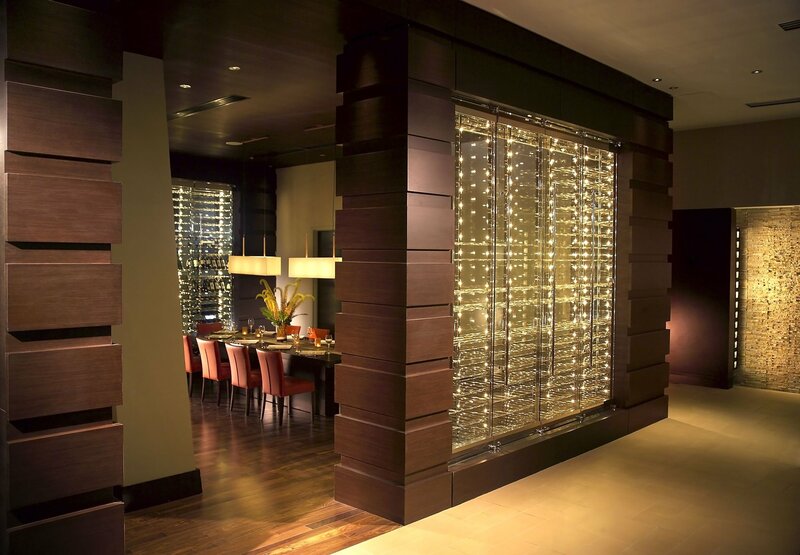 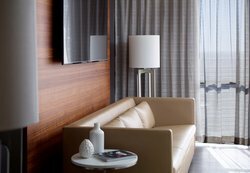 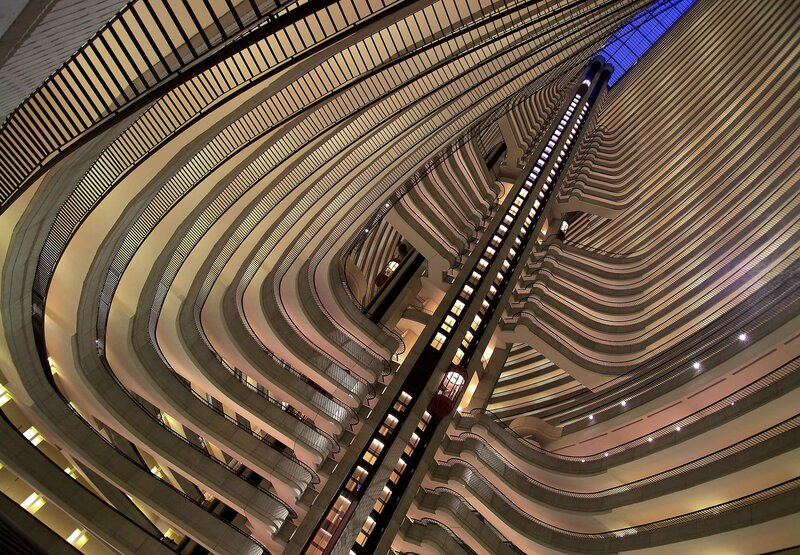 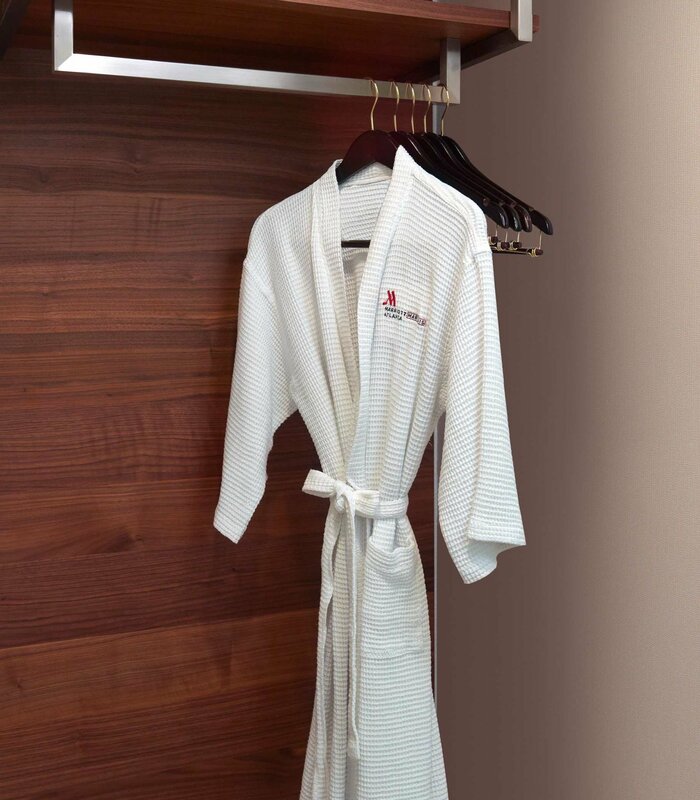 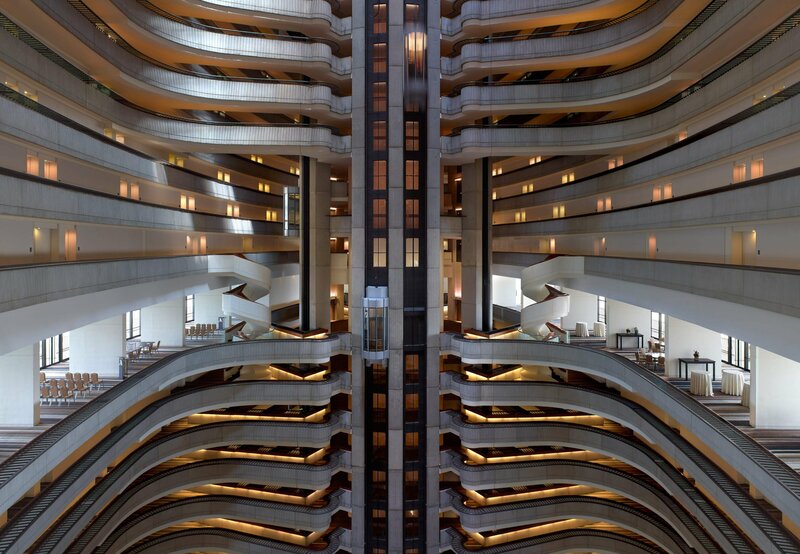 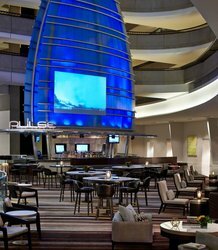 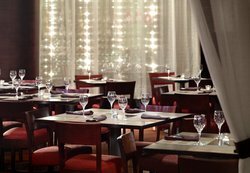 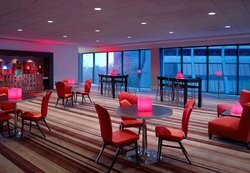 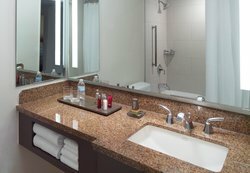 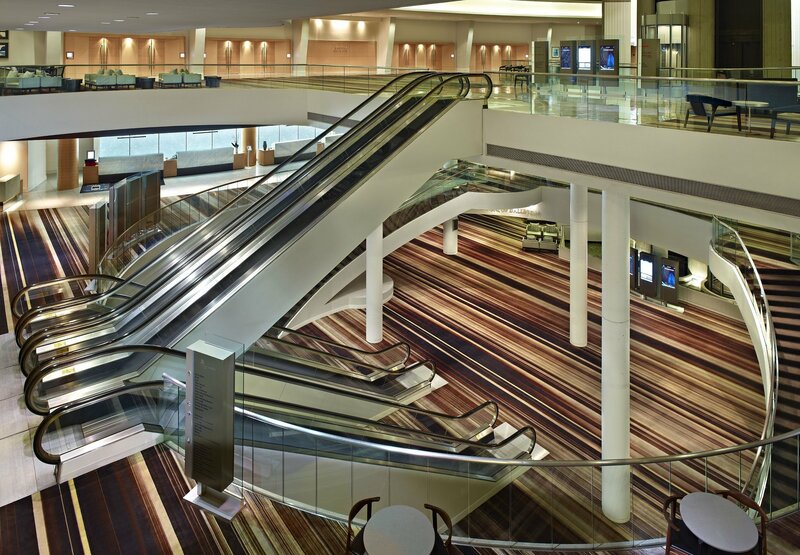 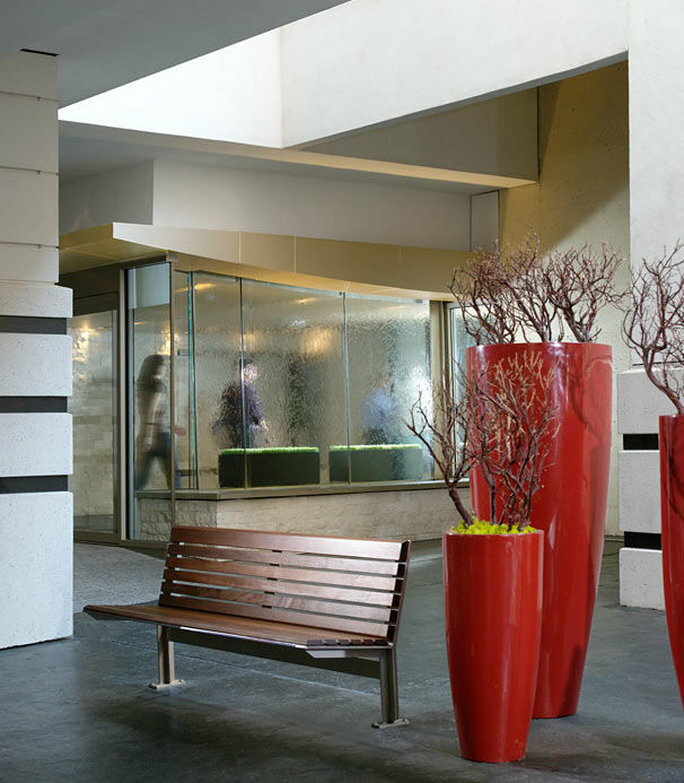 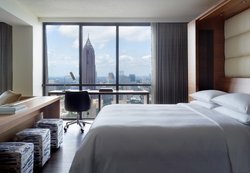 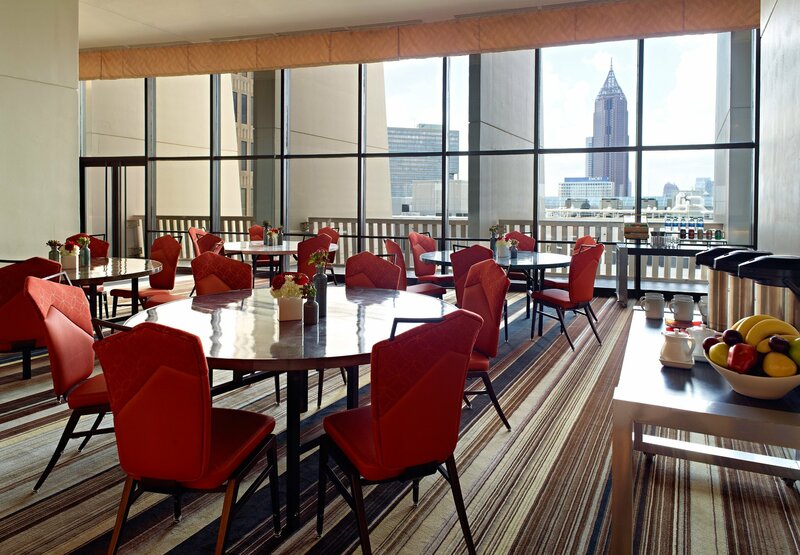 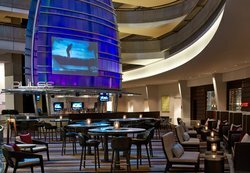 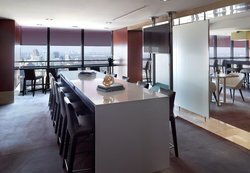 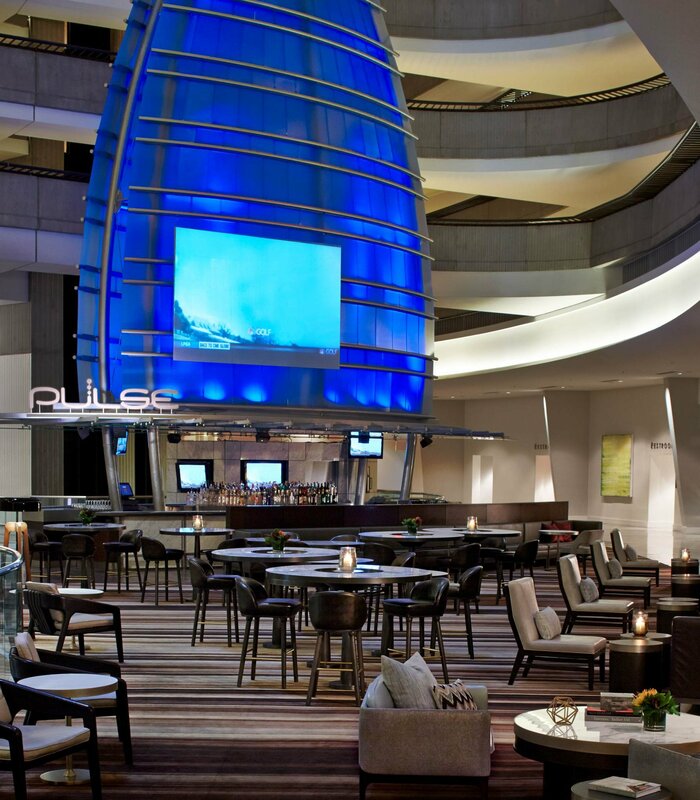 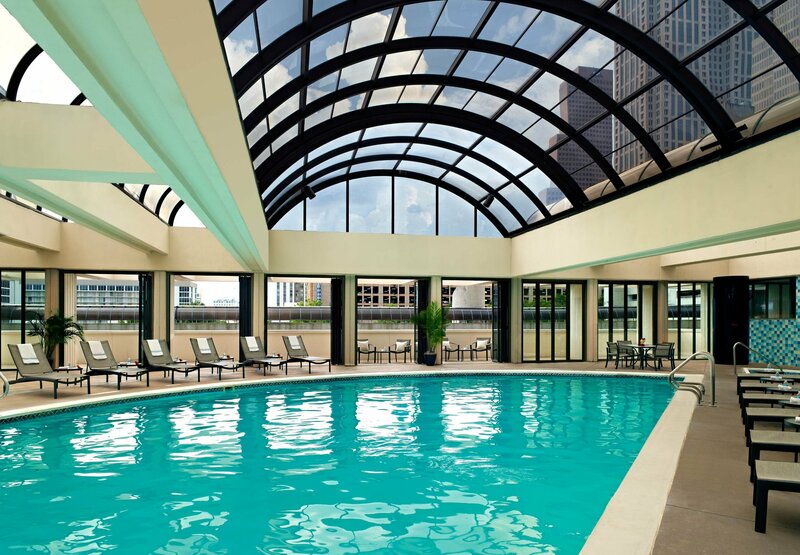 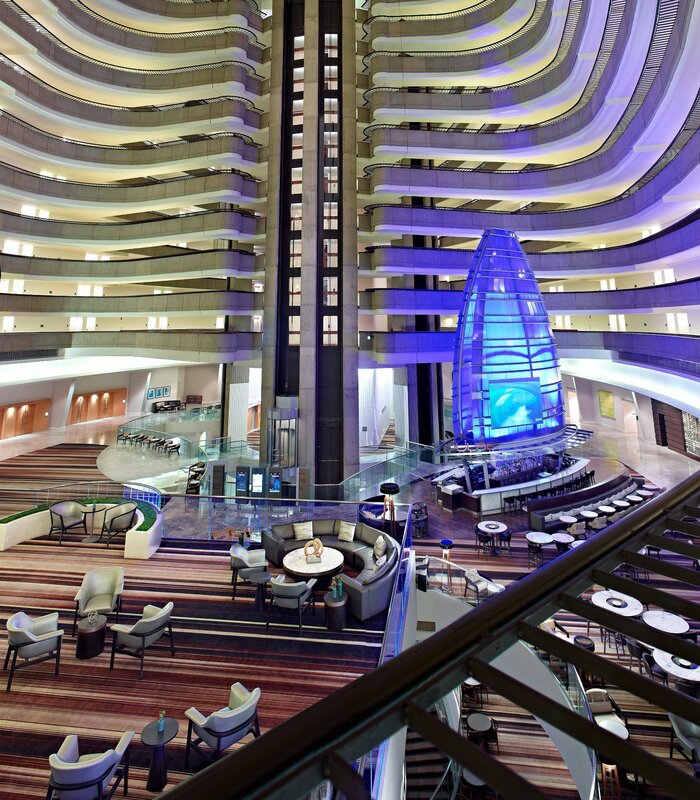 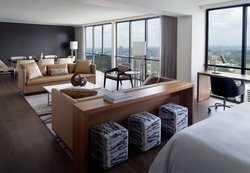 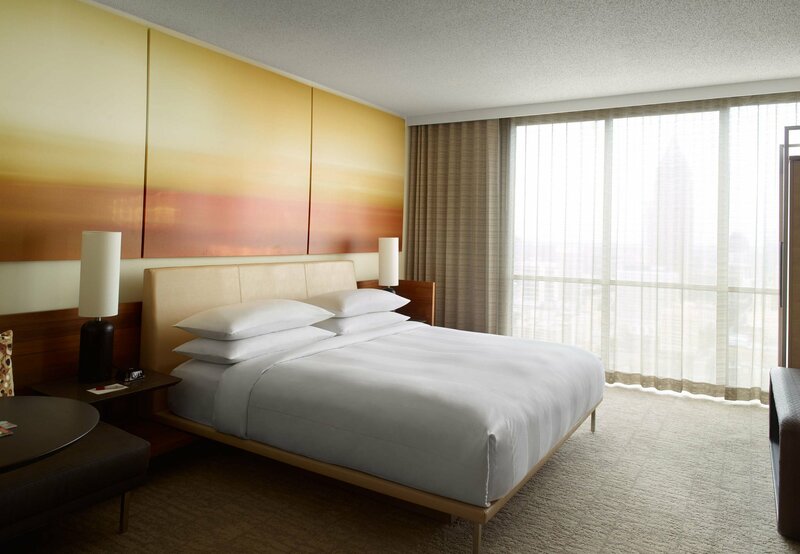 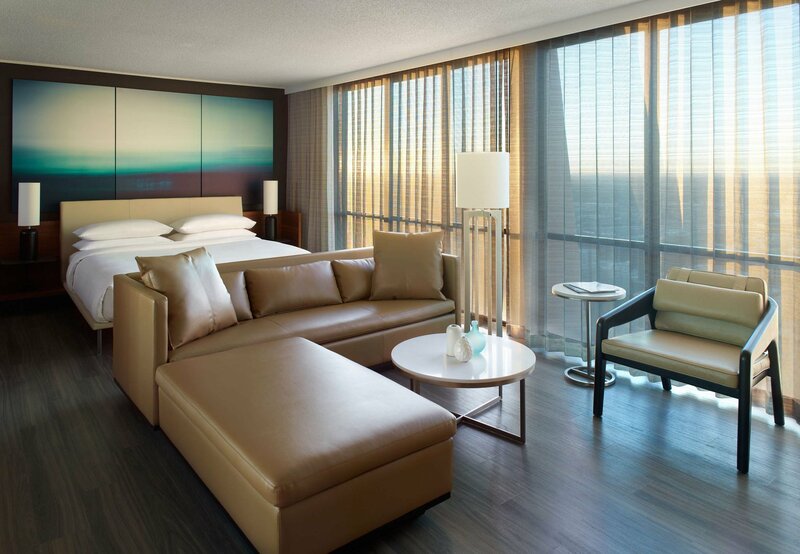 Located in the heart of downtown, the Atlanta Marriott Marquis is an iconic destination bursting with style and energy. Step inside our hotel lobby and discover our spectacular atrium, which is anchored by the 50-foot color-changing sail of Pulse, our vibrant cocktail lounge. 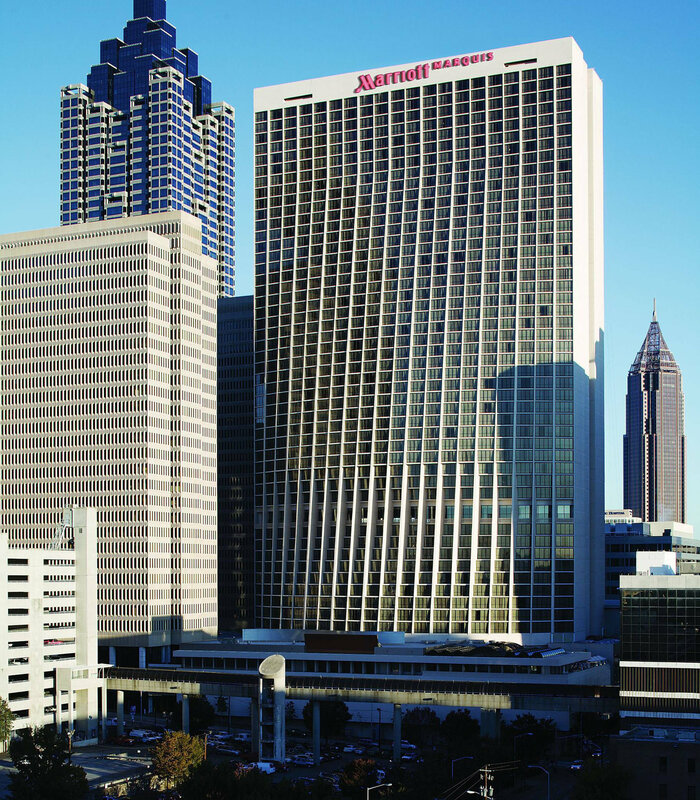 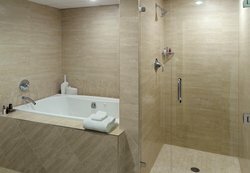 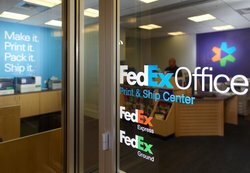 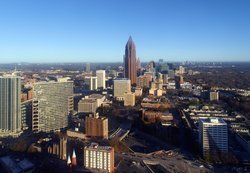 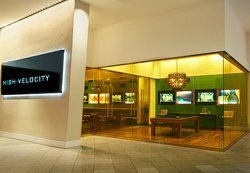 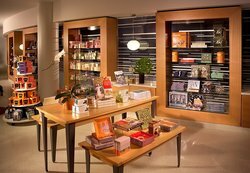 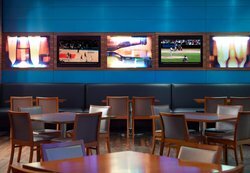 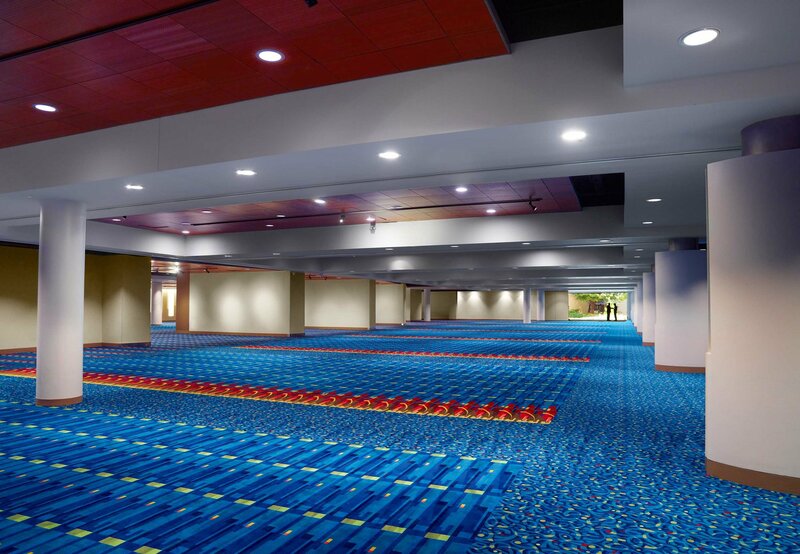 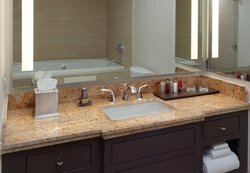 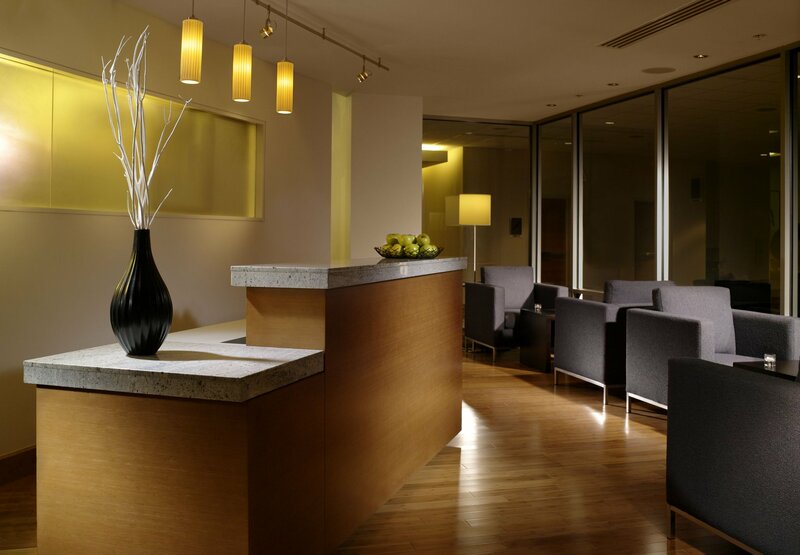 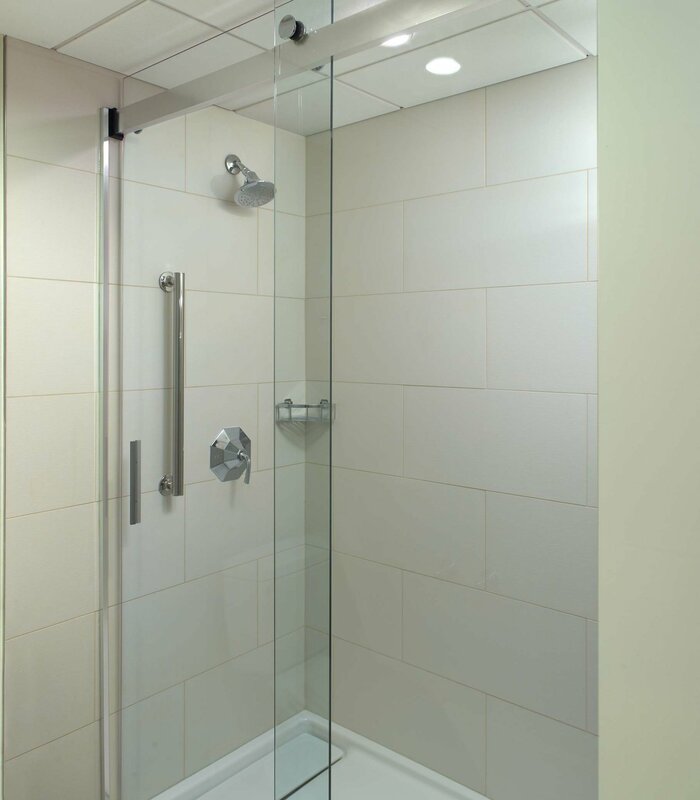 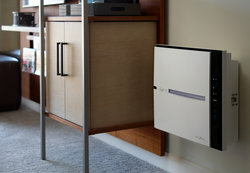 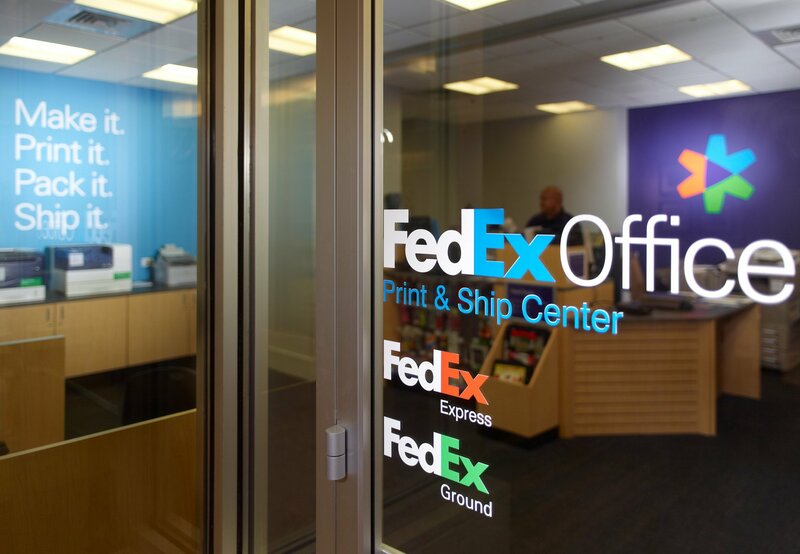 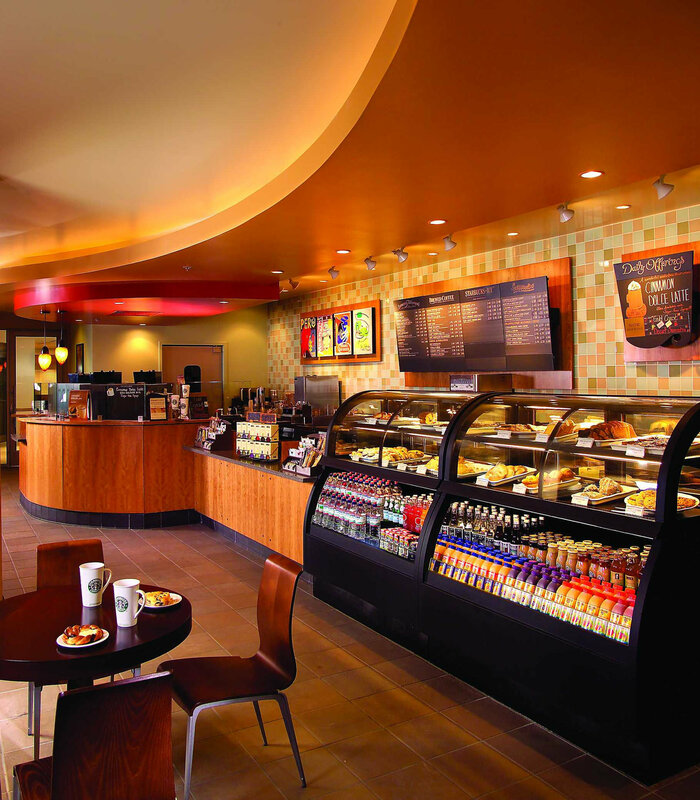 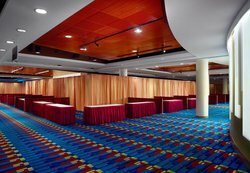 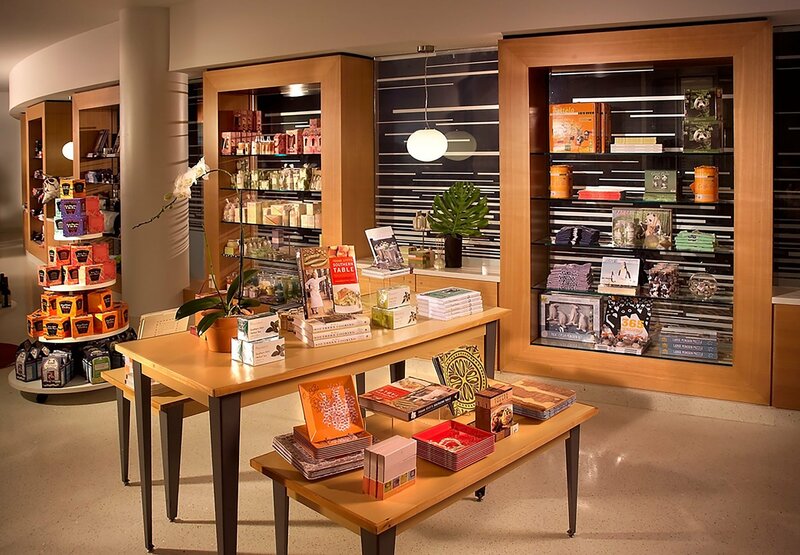 Situated in the Peachtree Center, our hotel places travelers near a MARTA rail station, Georgia World Congress Center and AmericasMart Atlanta. 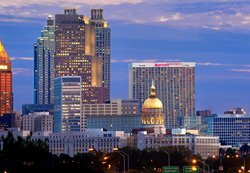 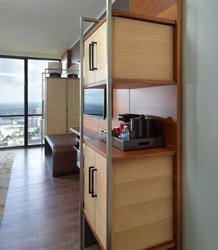 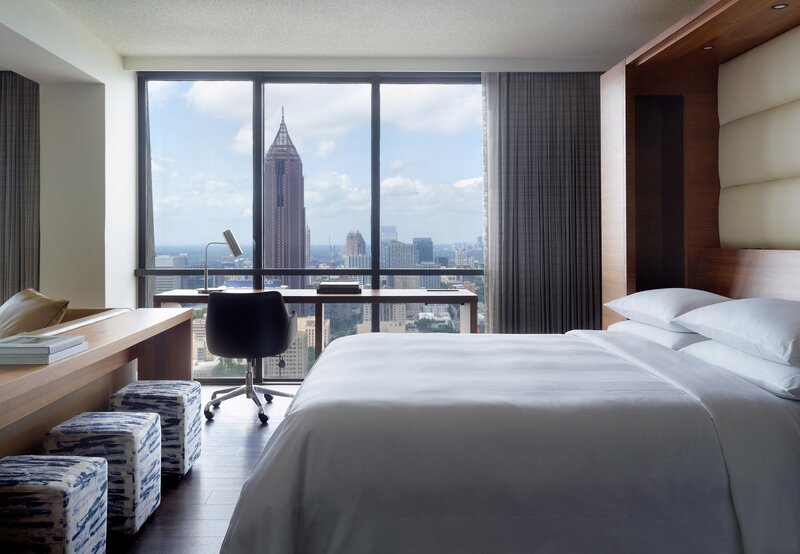 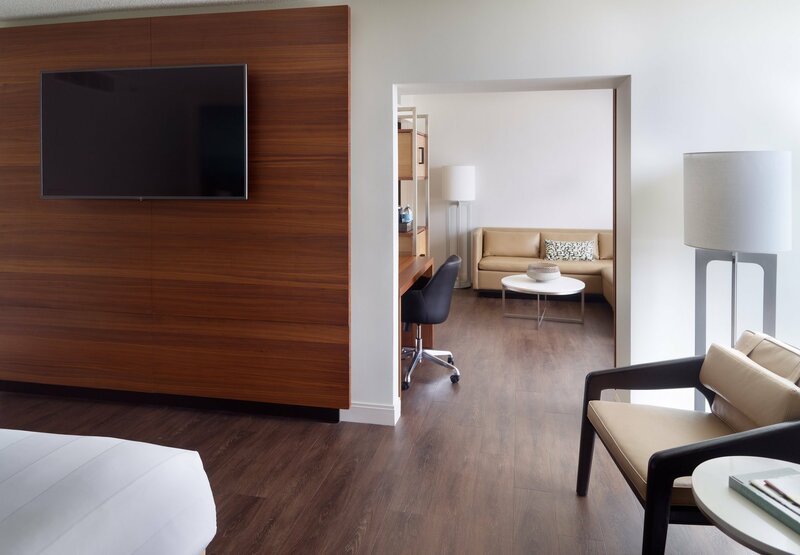 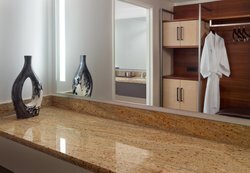 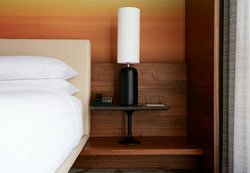 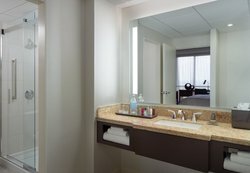 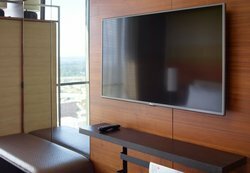 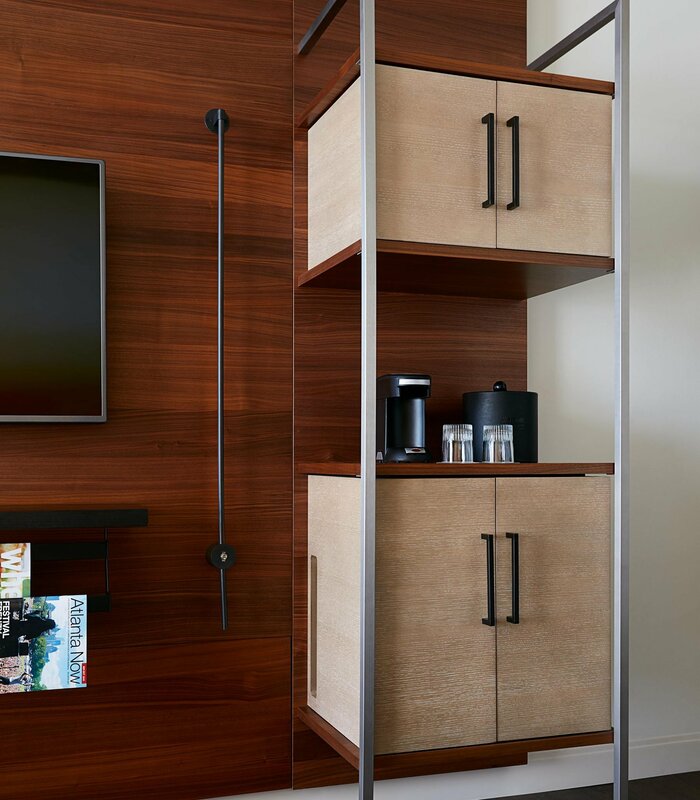 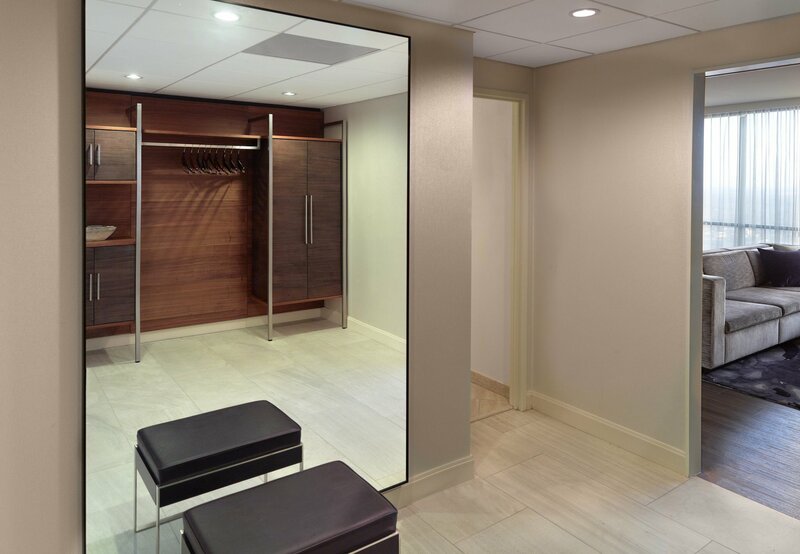 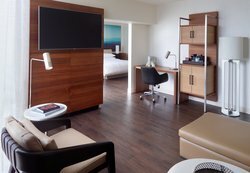 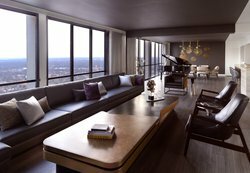 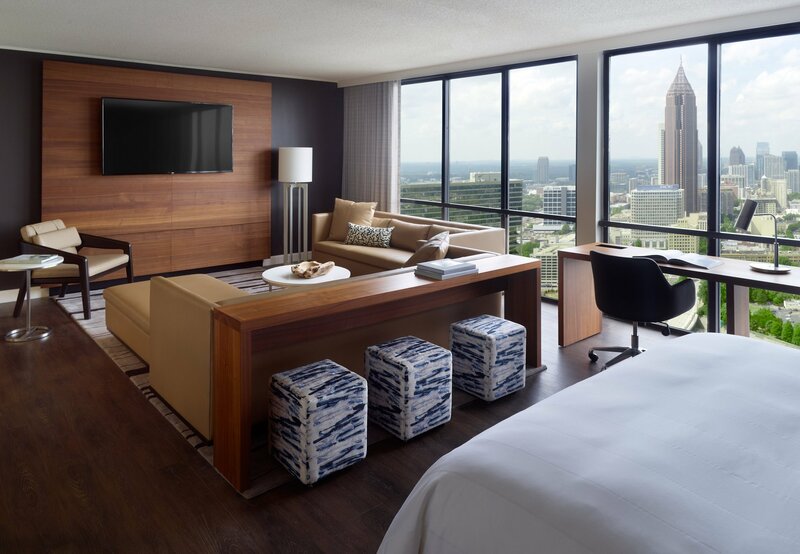 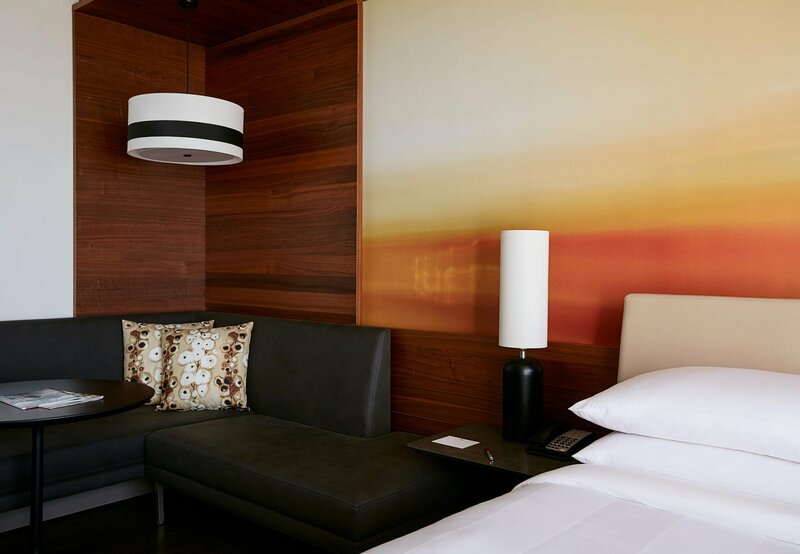 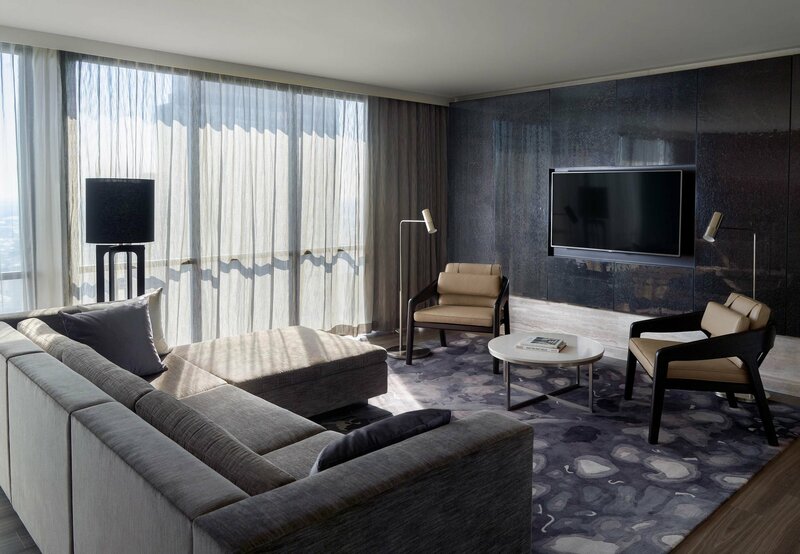 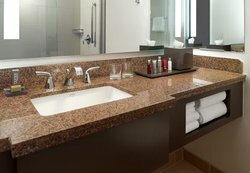 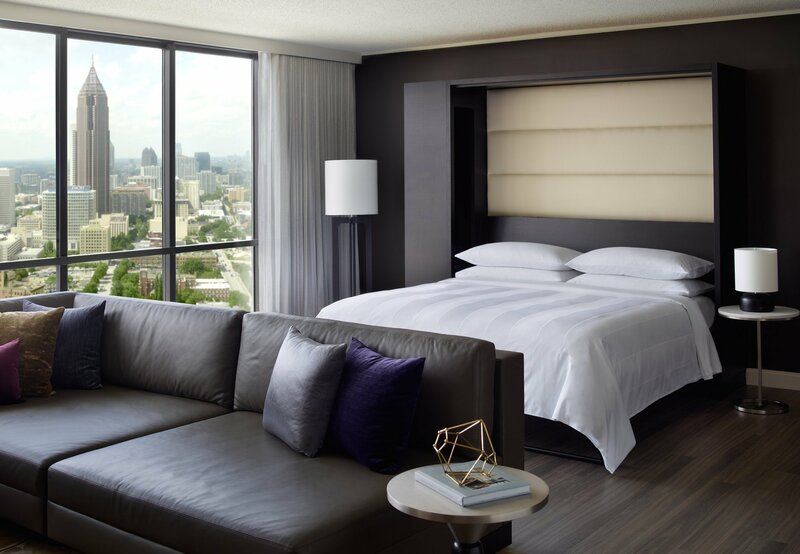 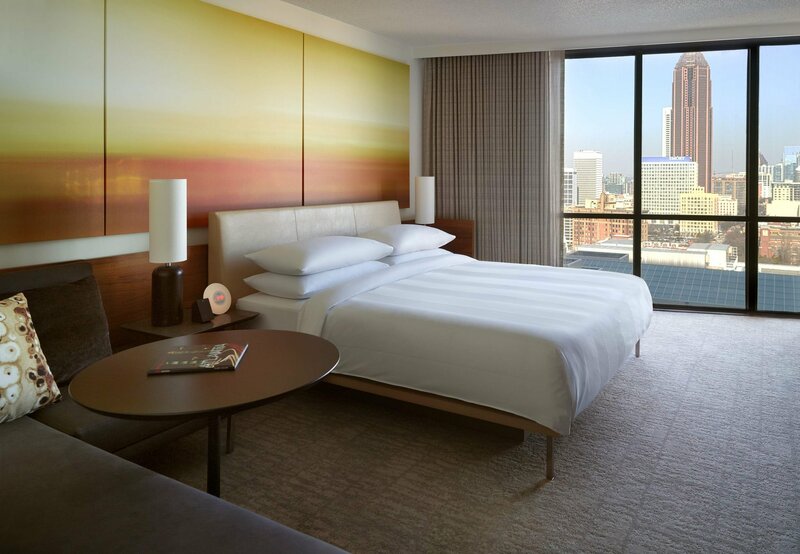 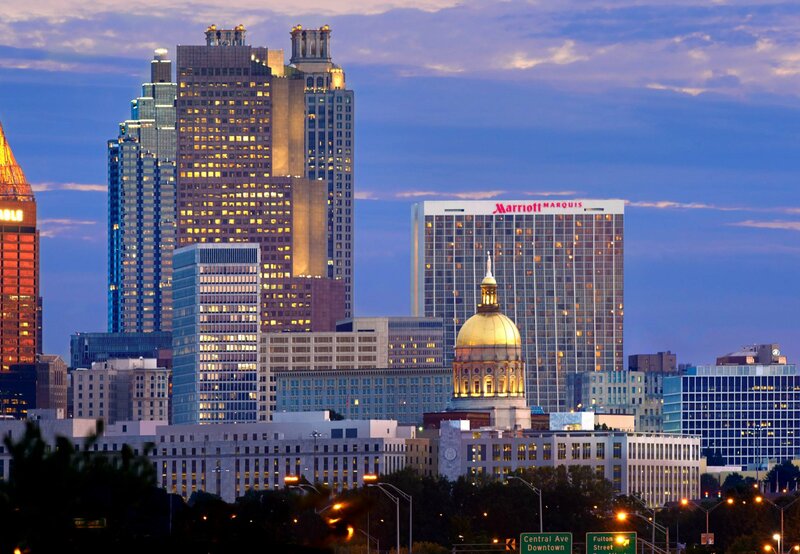 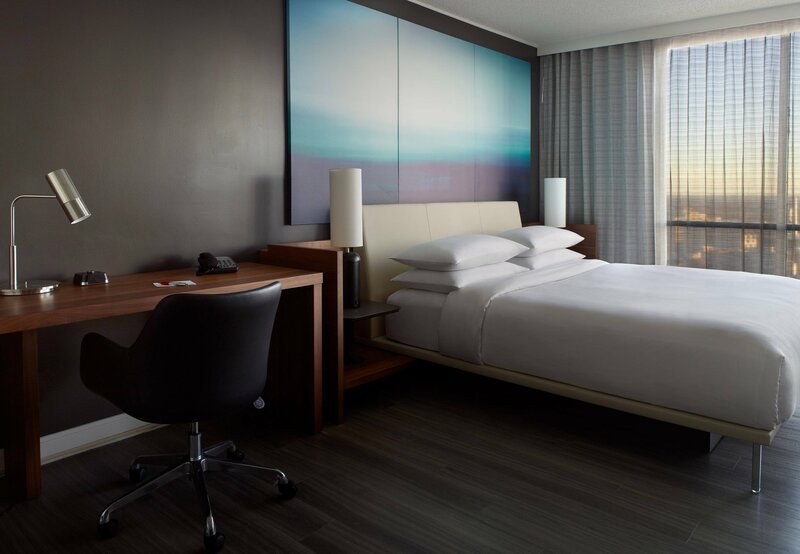 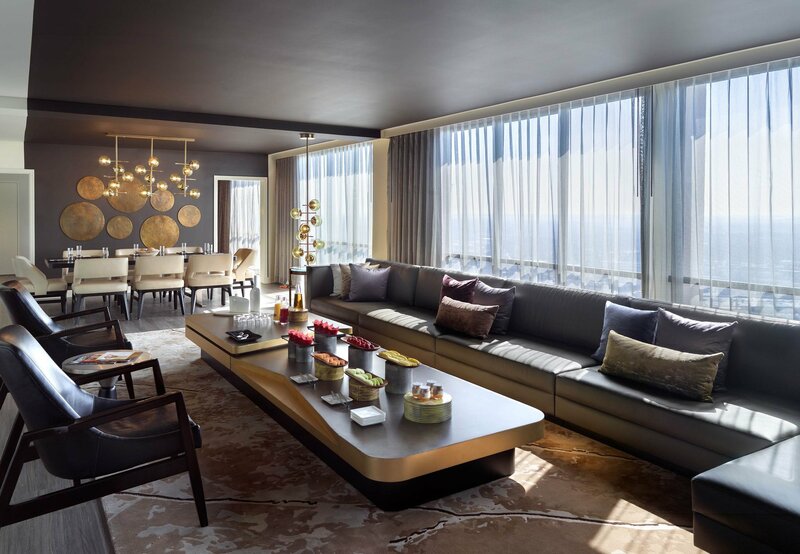 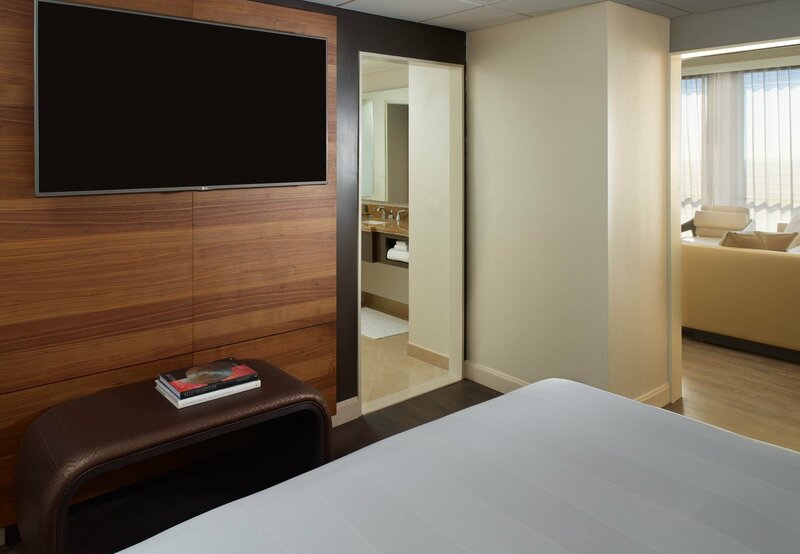 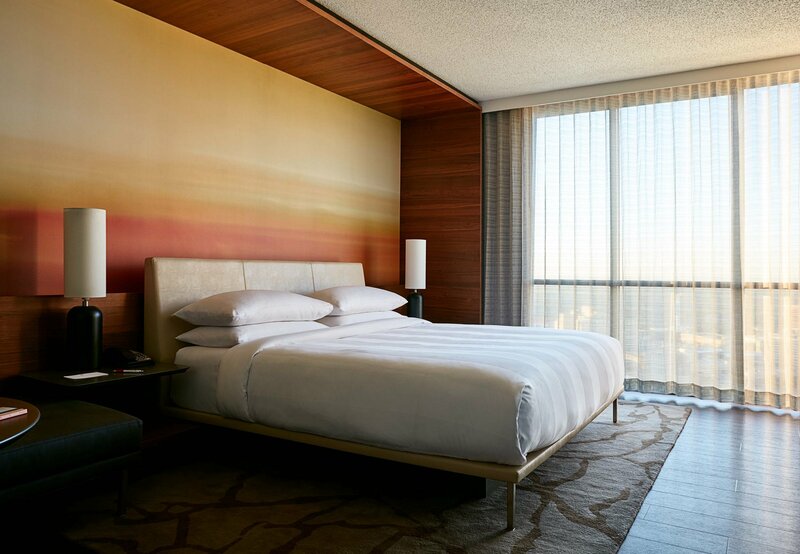 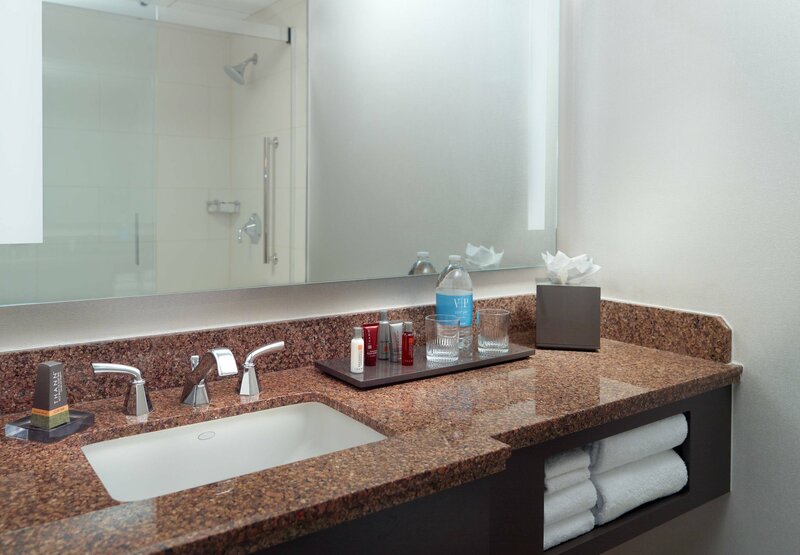 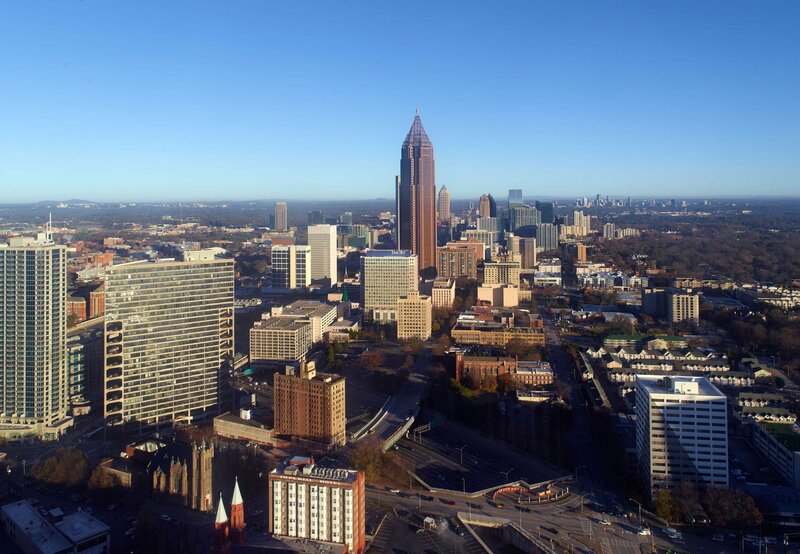 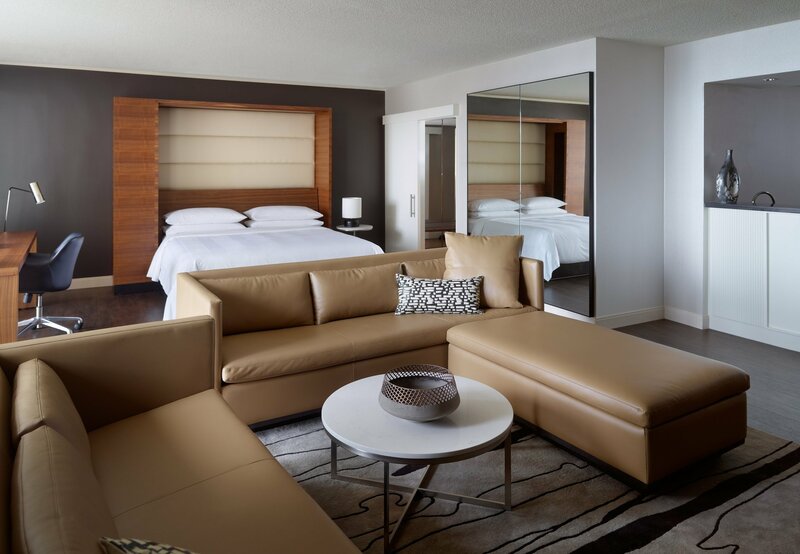 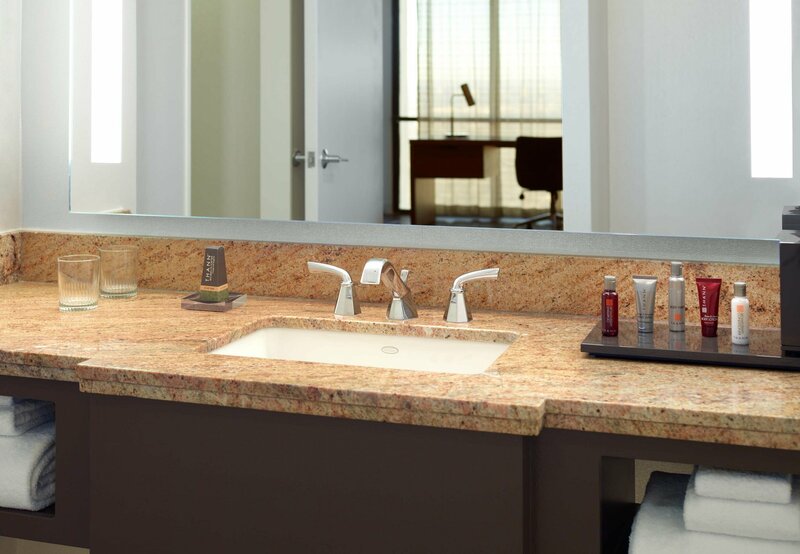 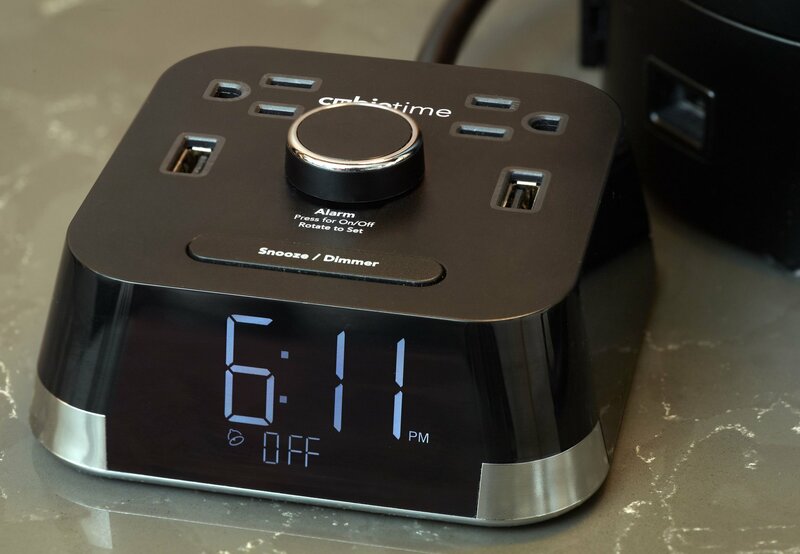 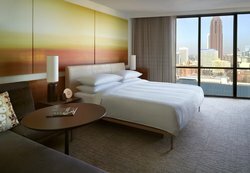 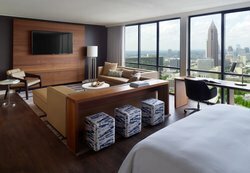 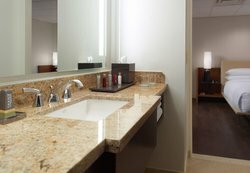 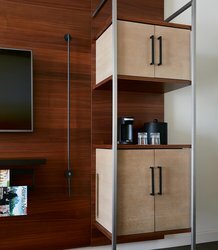 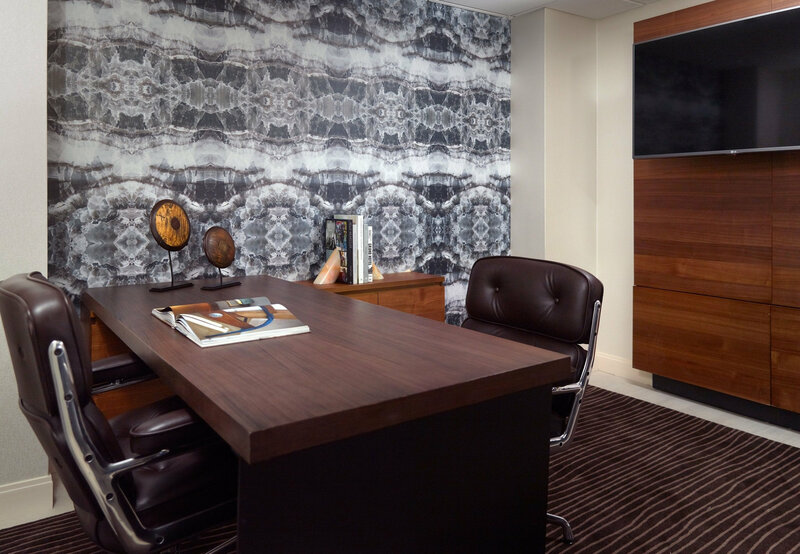 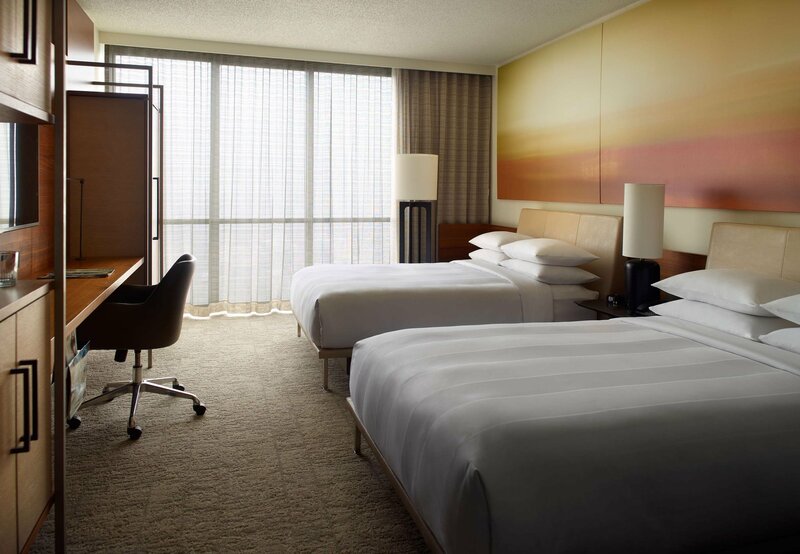 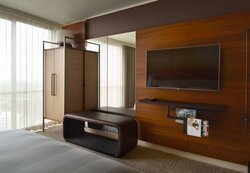 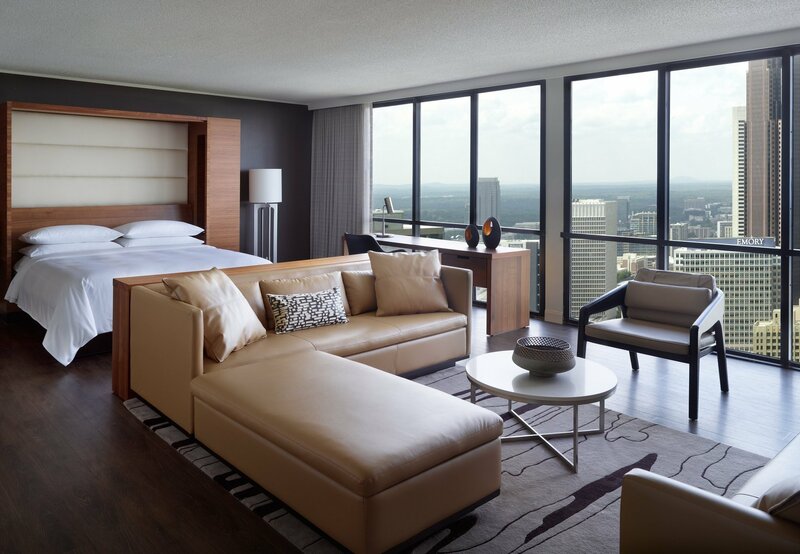 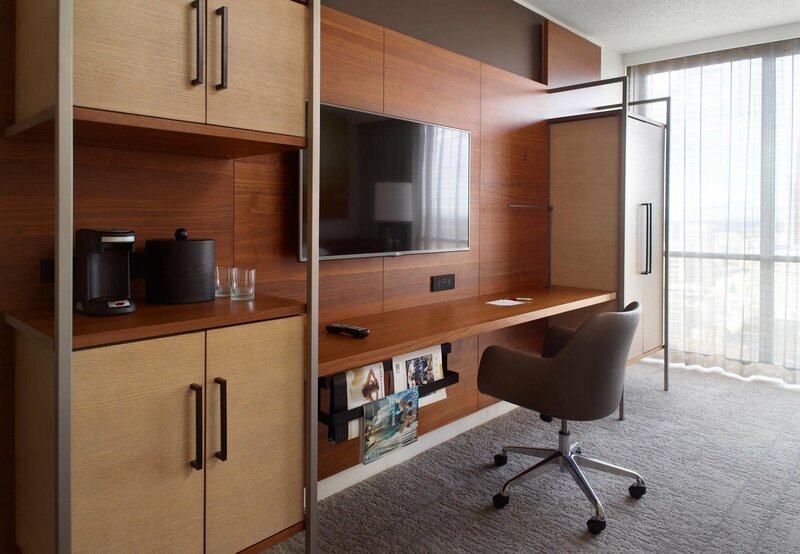 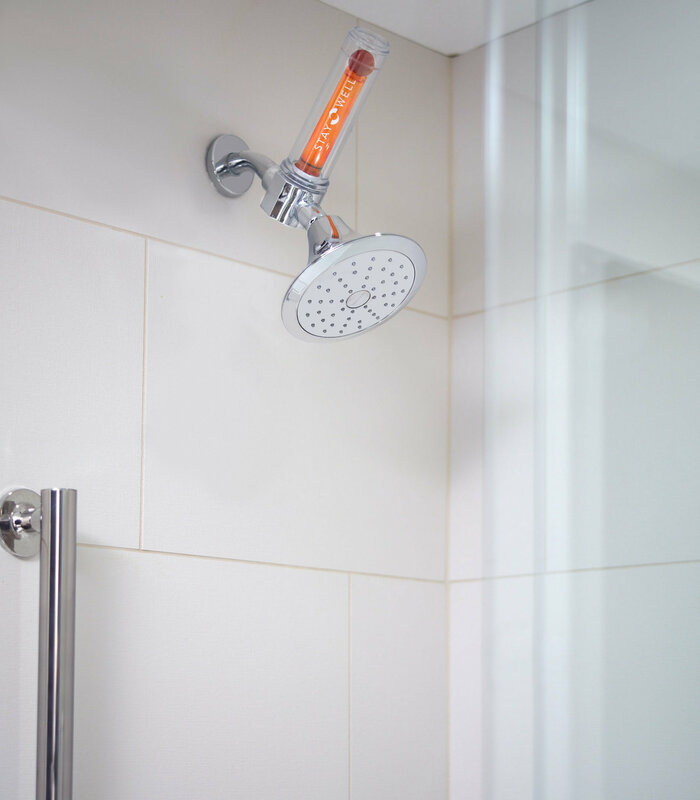 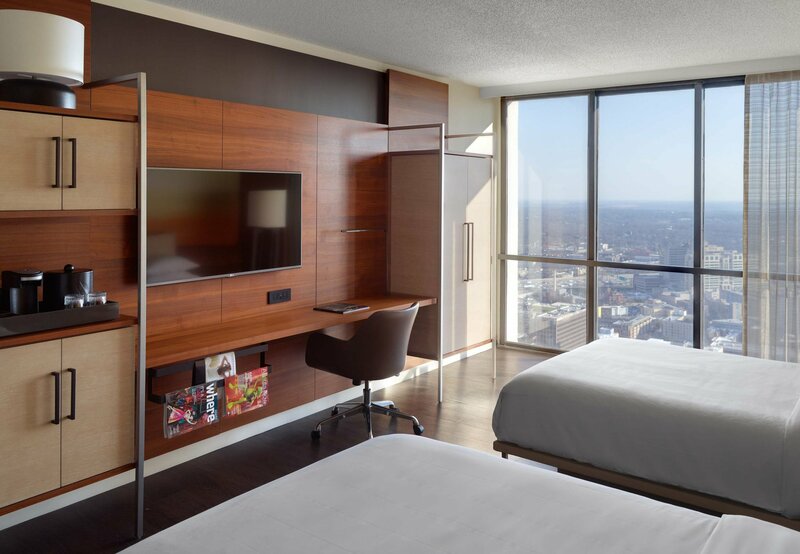 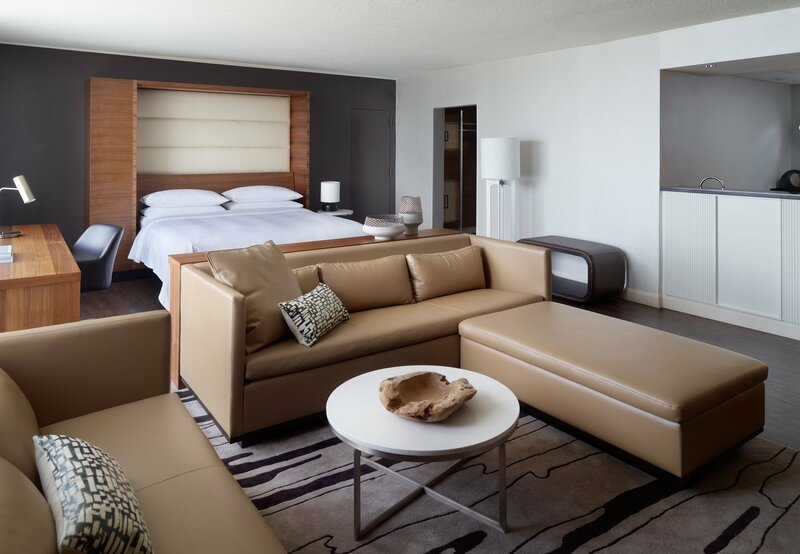 Once you've explored downtown Atlanta, settle into our spacious guest rooms, all of which feature stunning cityscape views, state-of-the-art technology and serious creature comforts. 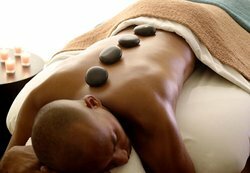 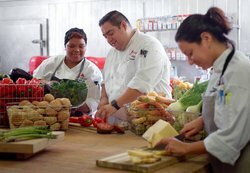 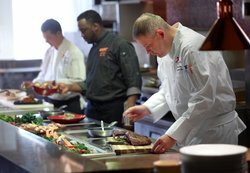 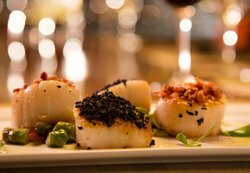 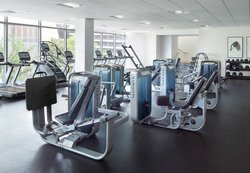 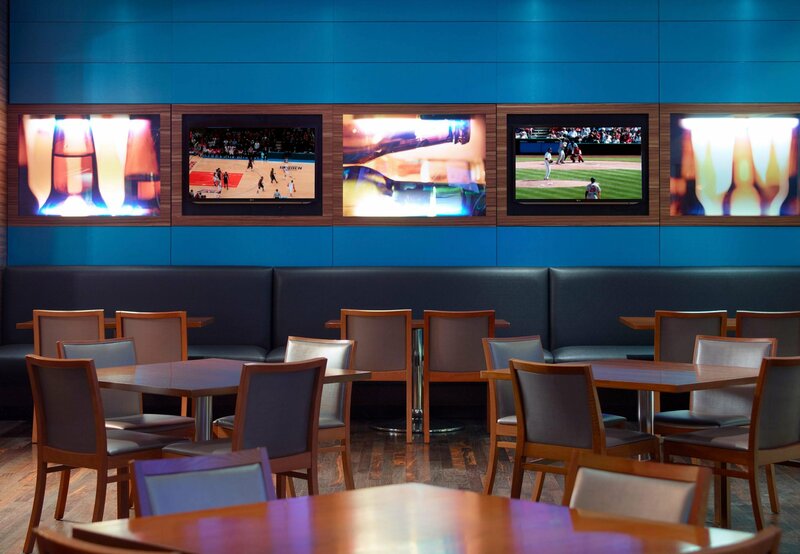 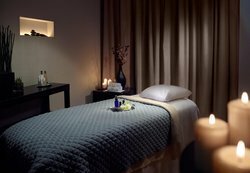 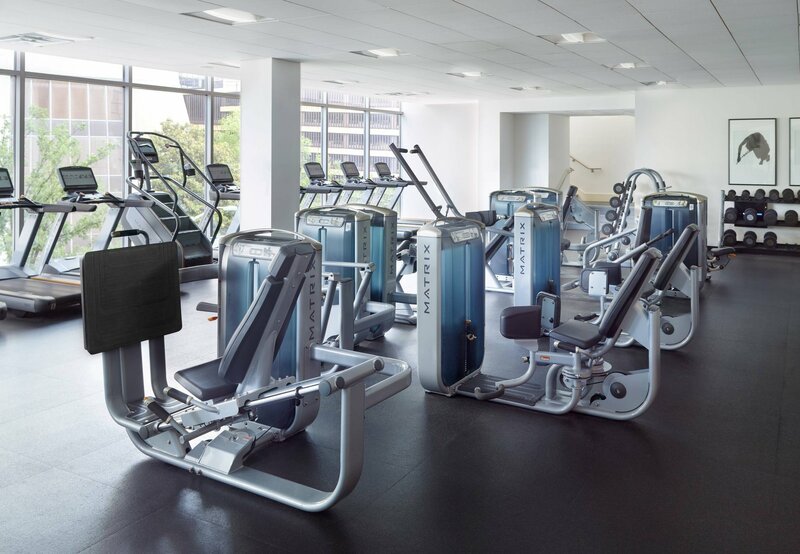 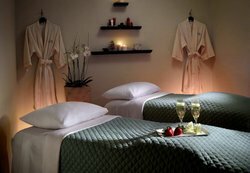 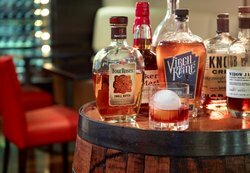 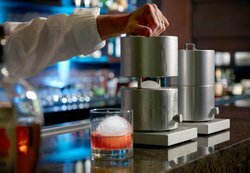 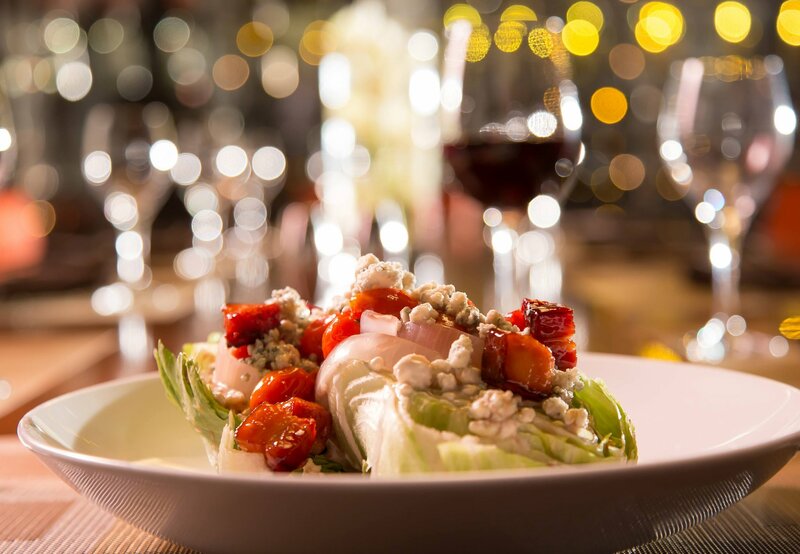 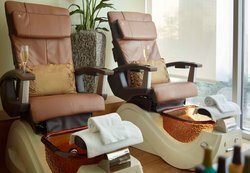 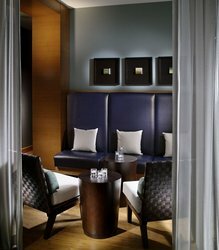 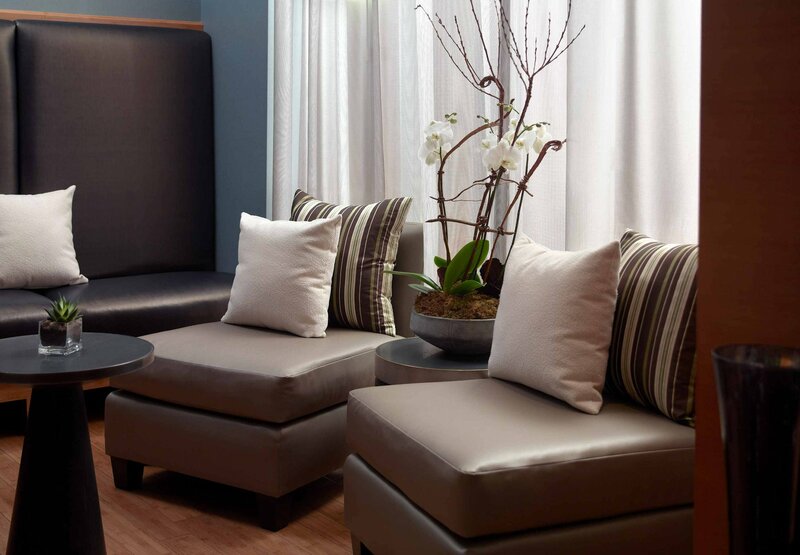 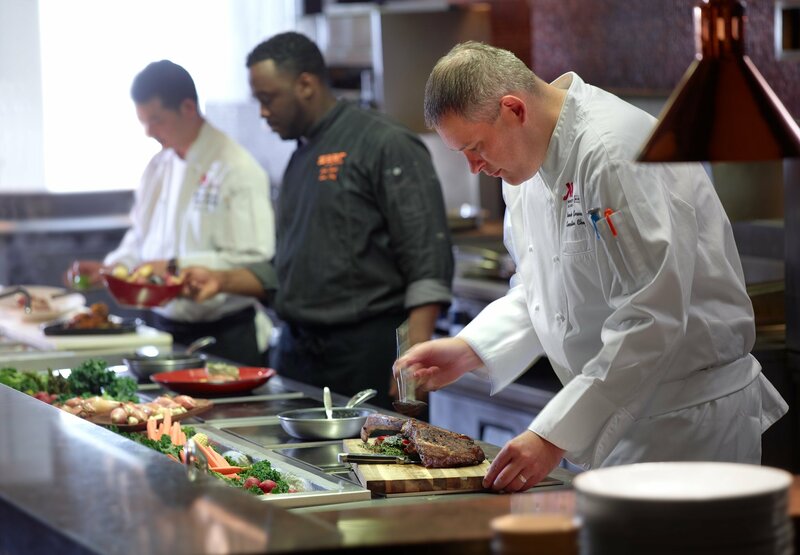 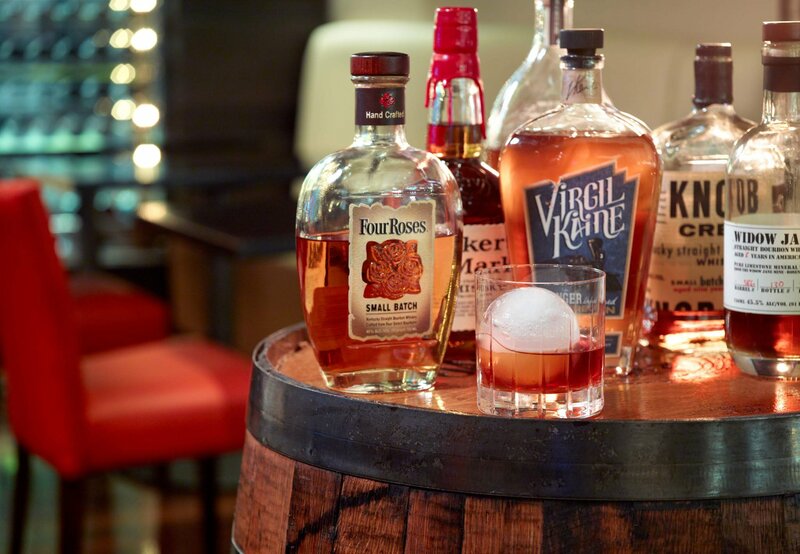 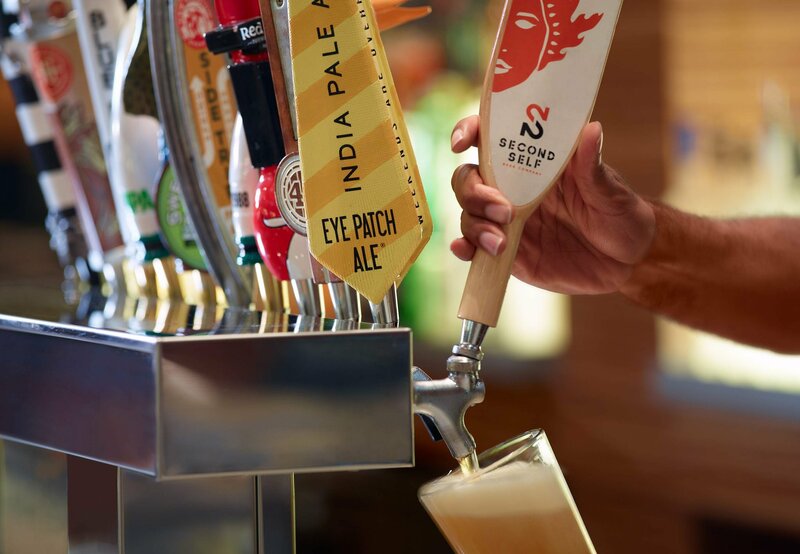 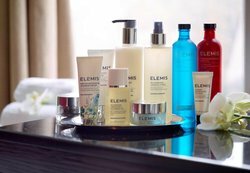 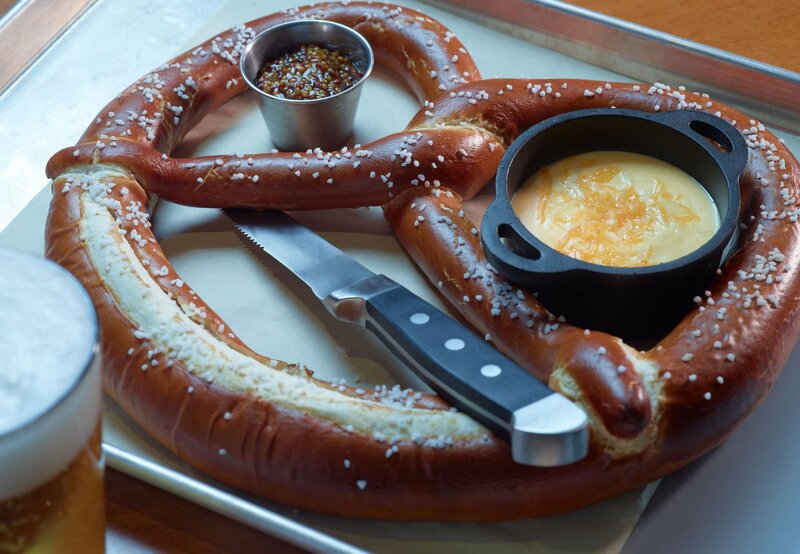 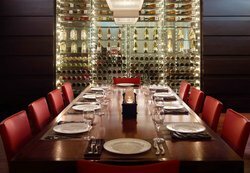 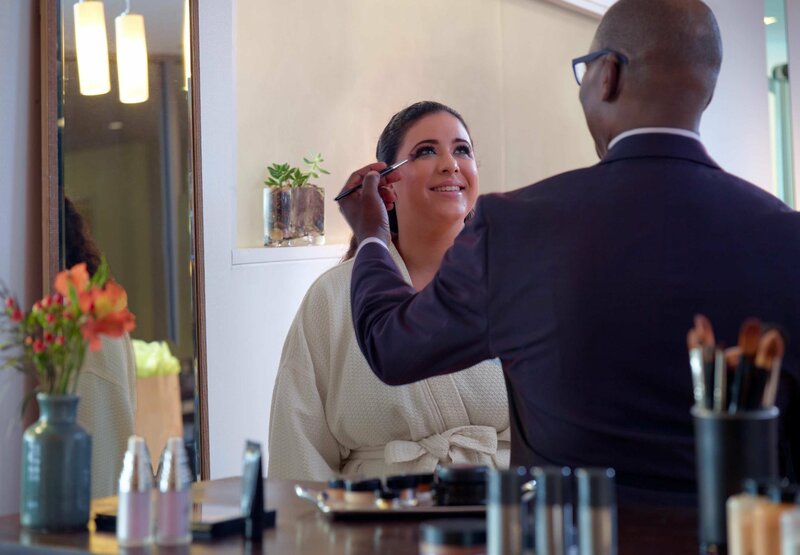 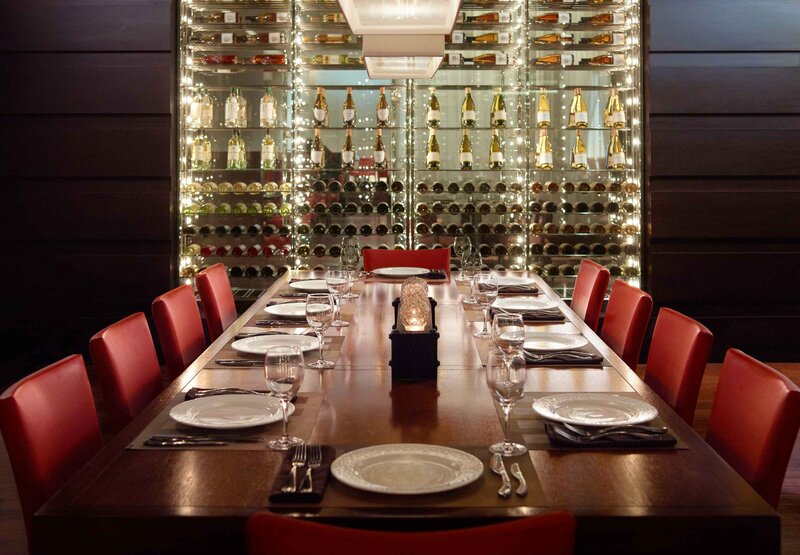 Dine with us at one of our five unique dining destinations, including Sear steakhouse, find urban calm in The Spa, our signature wellness destination, or break a sweat in our 24-hour fitness center. 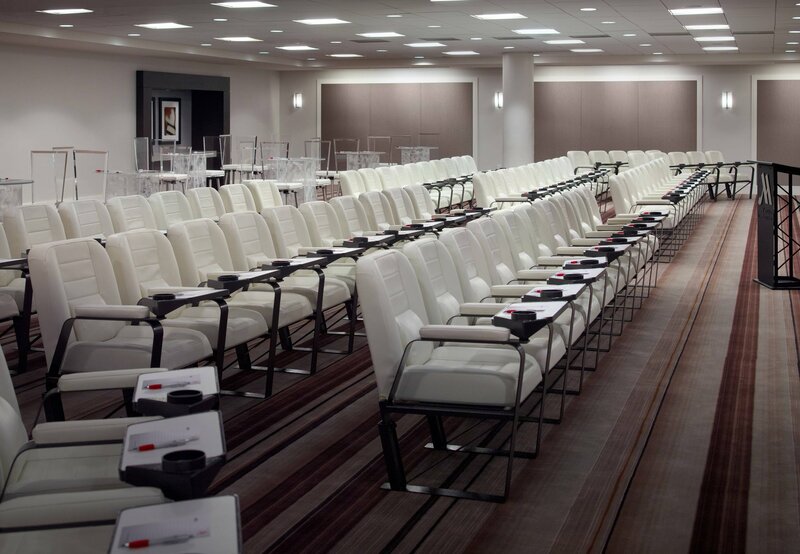 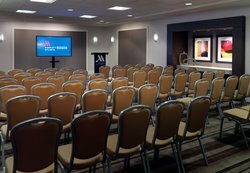 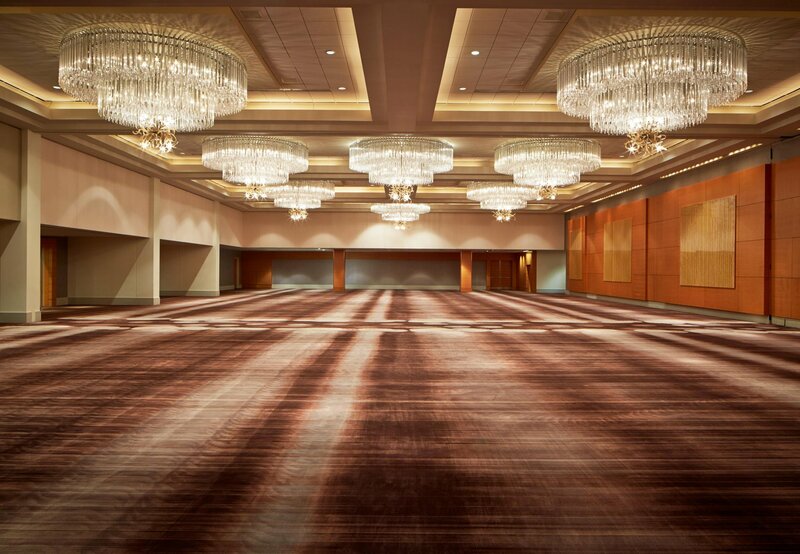 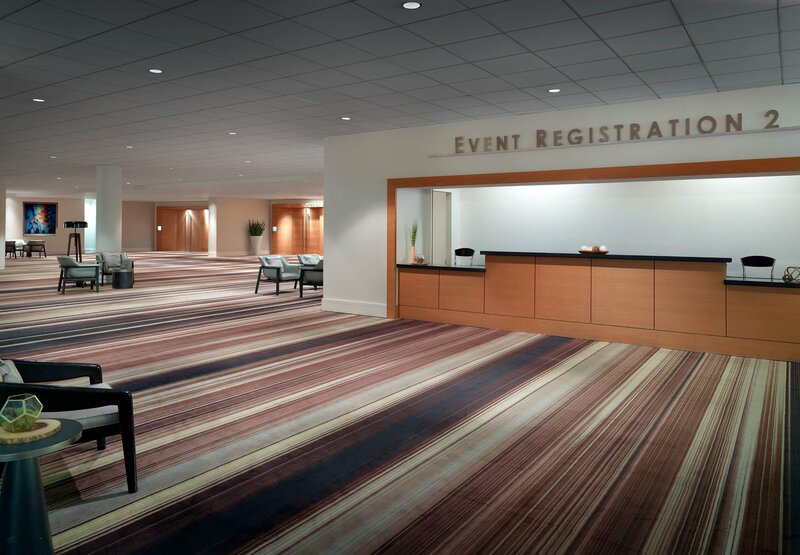 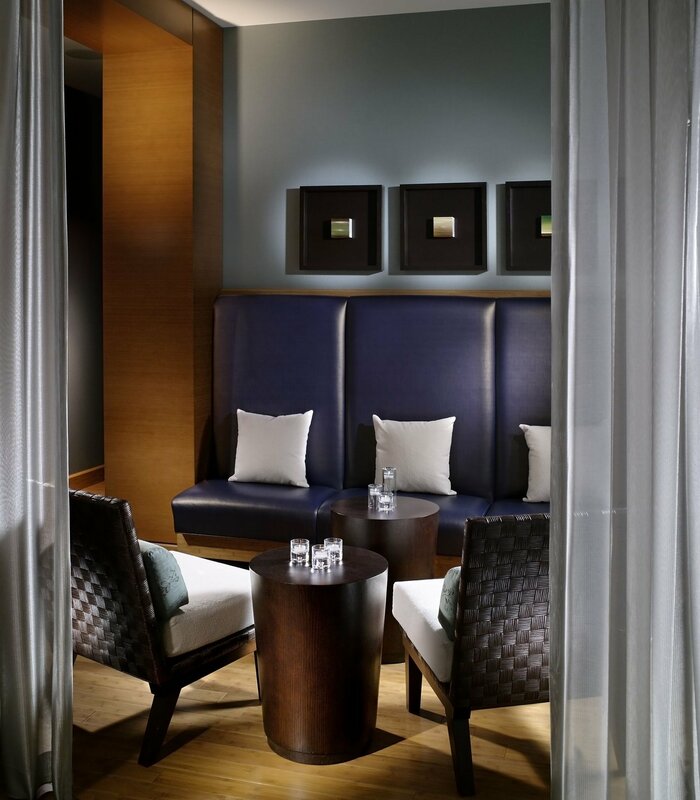 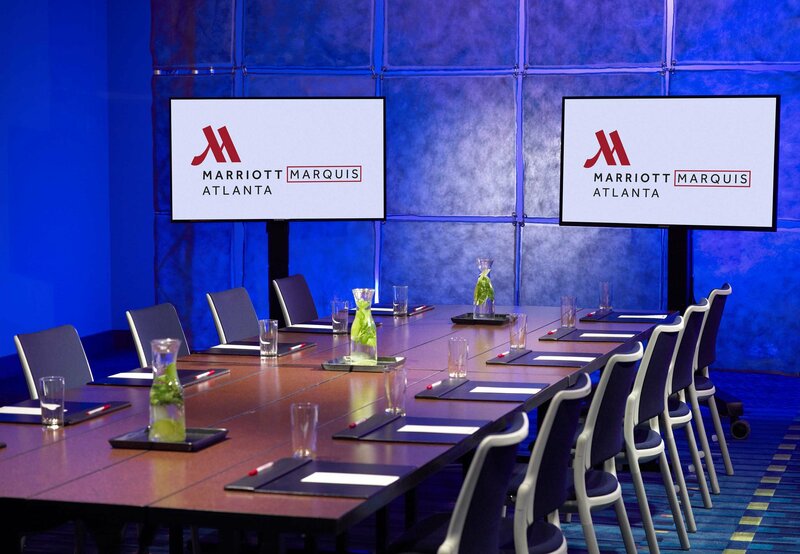 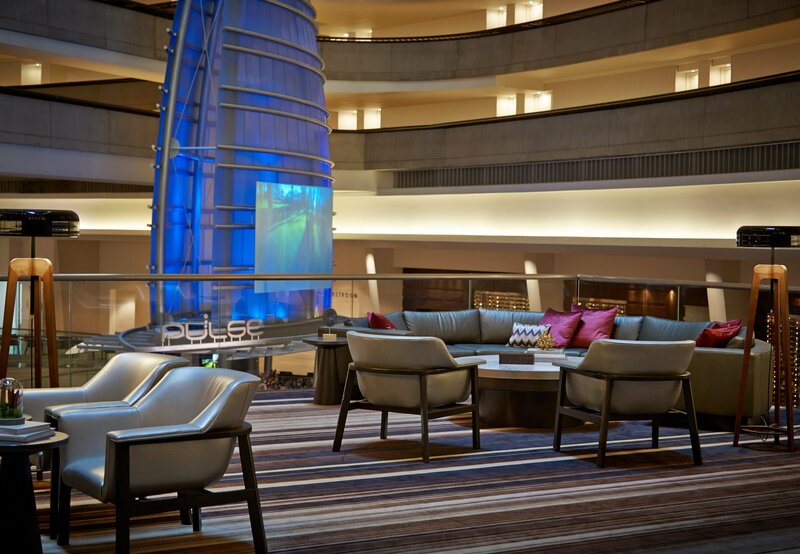 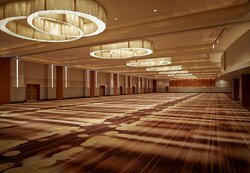 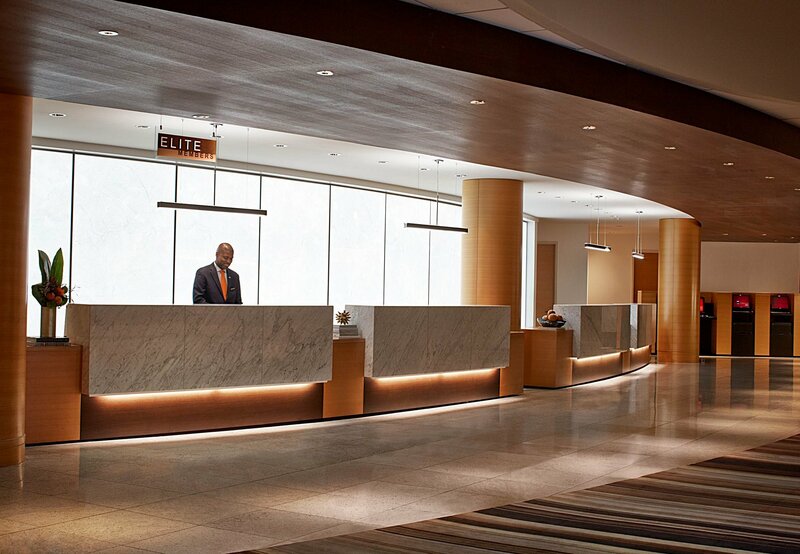 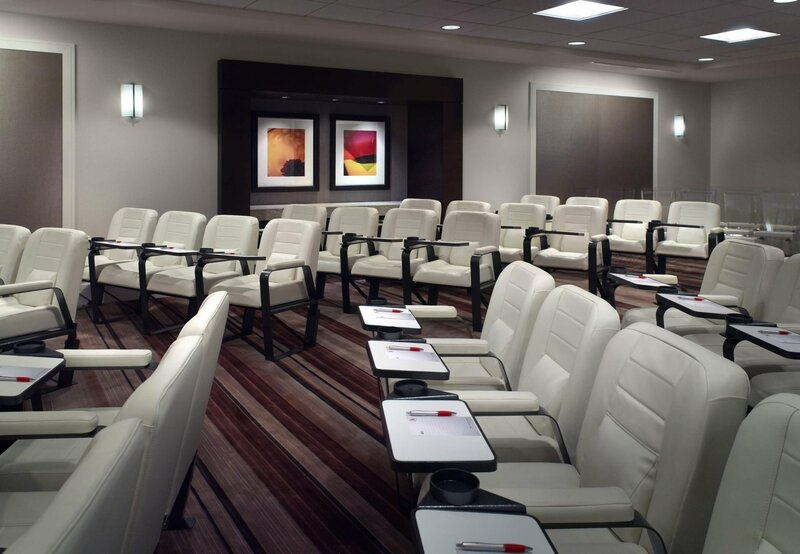 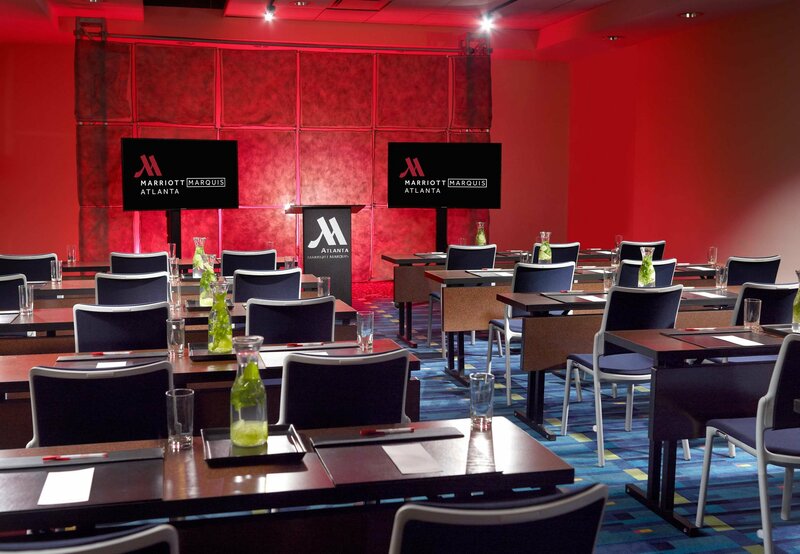 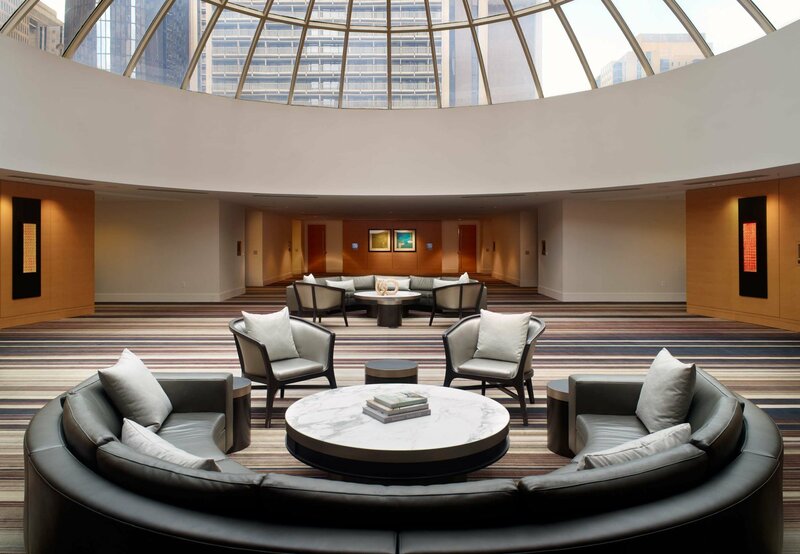 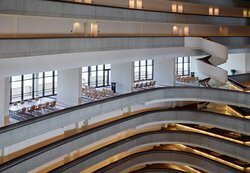 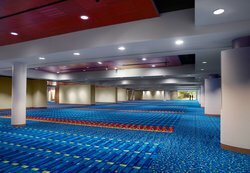 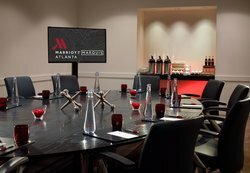 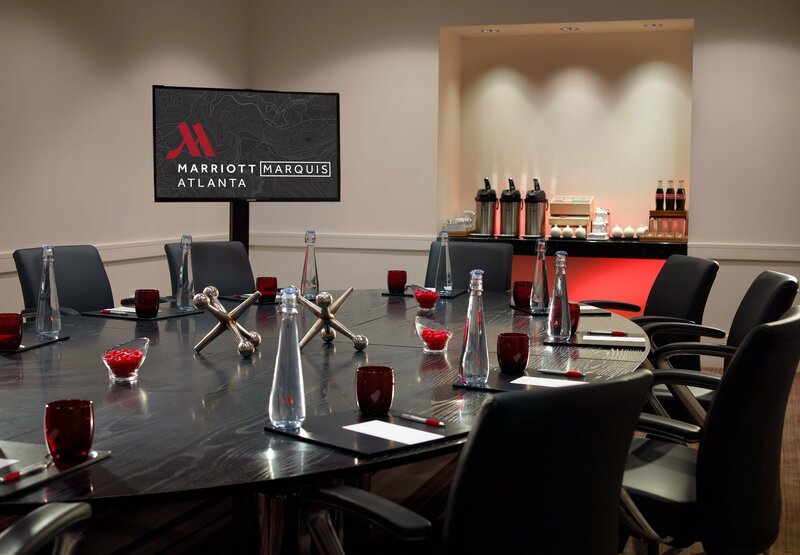 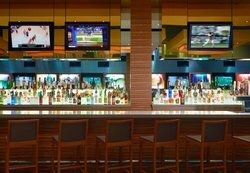 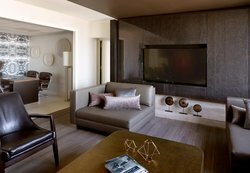 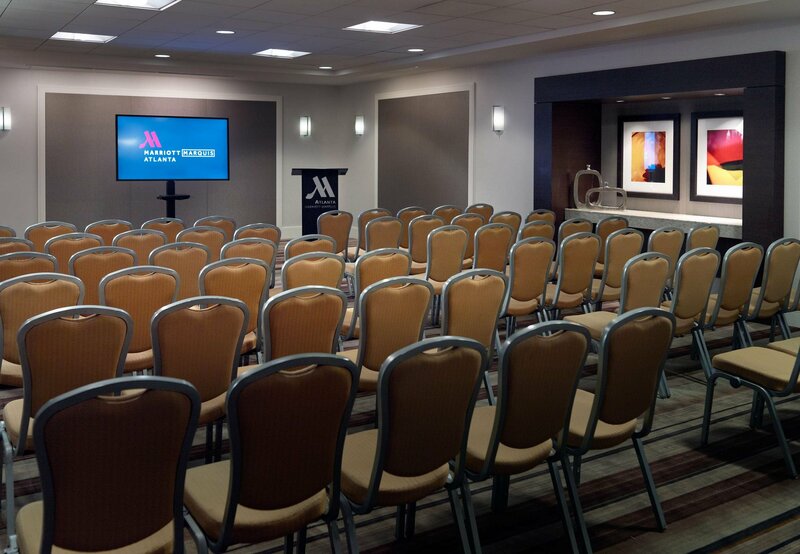 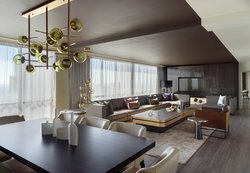 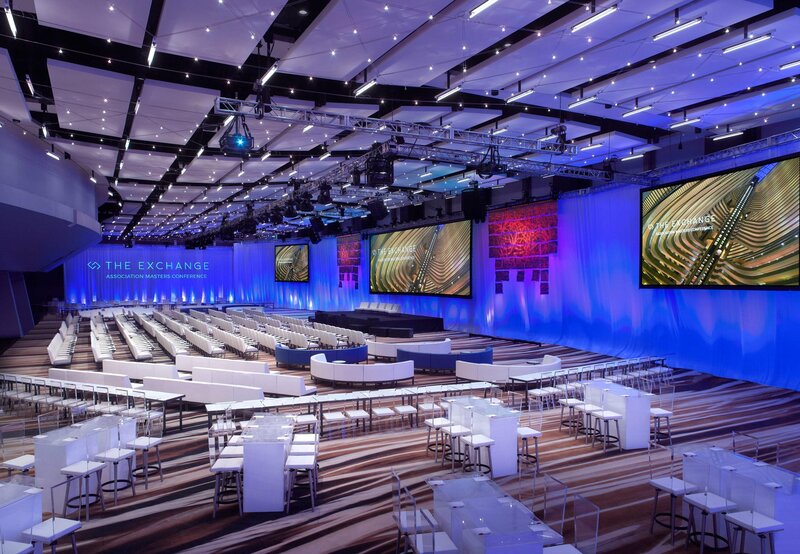 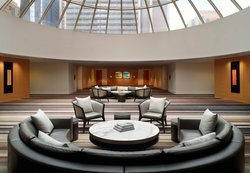 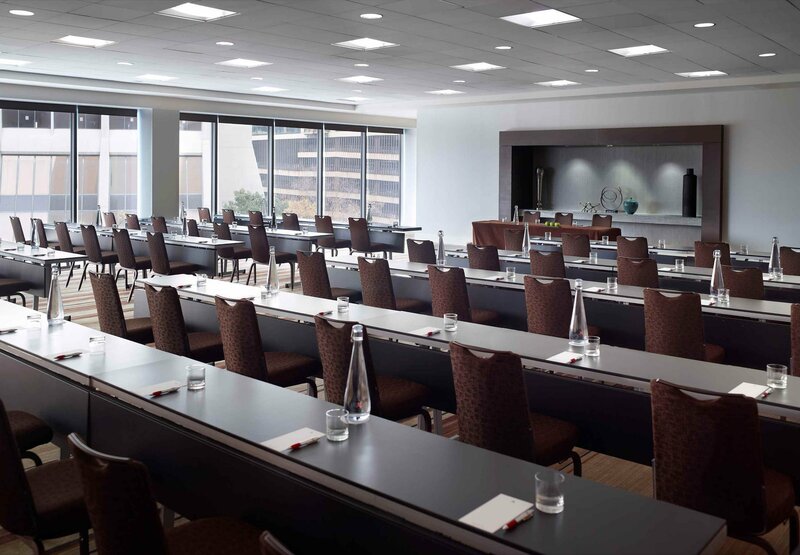 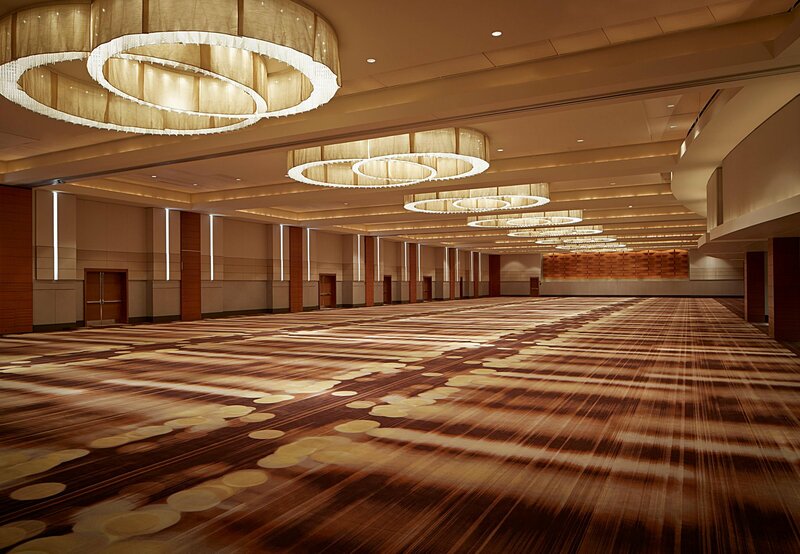 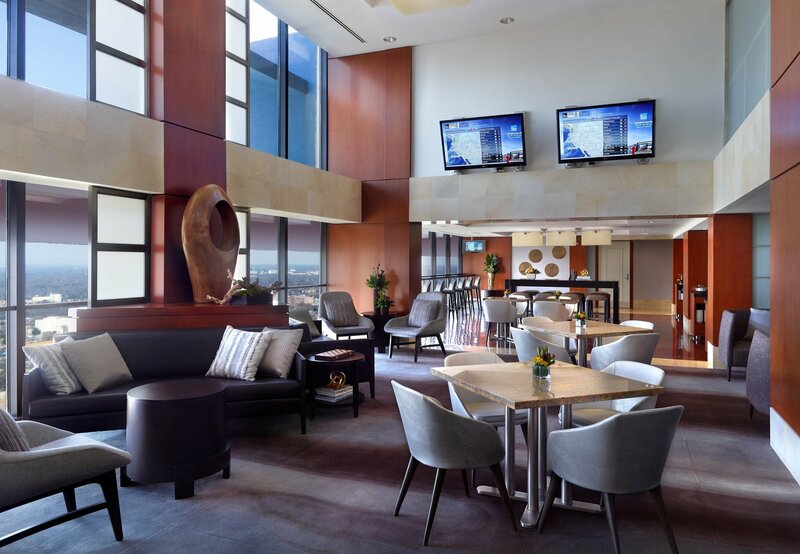 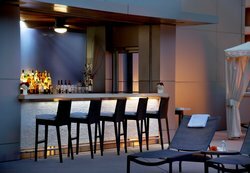 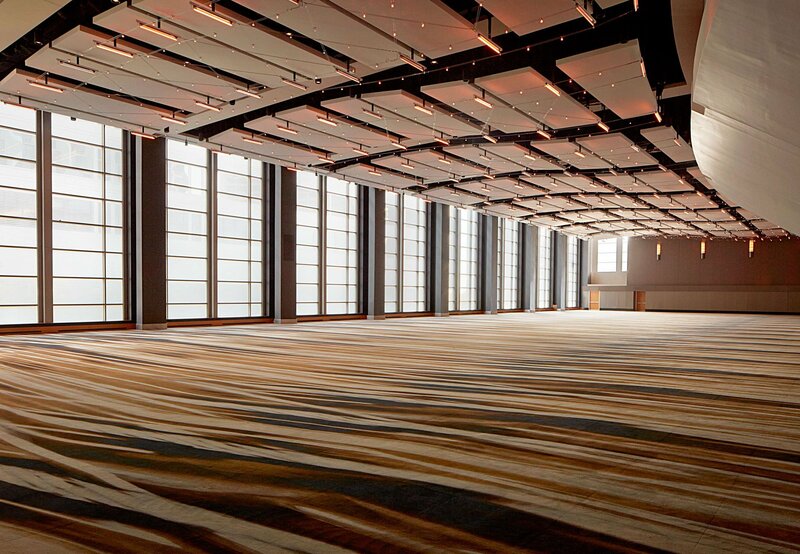 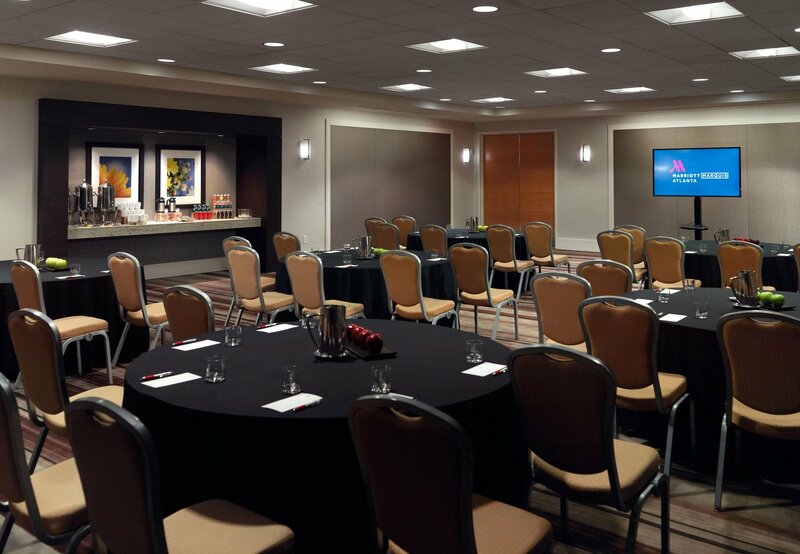 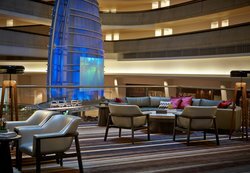 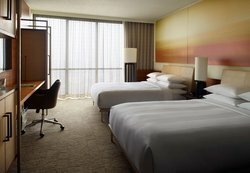 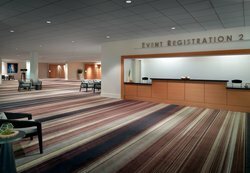 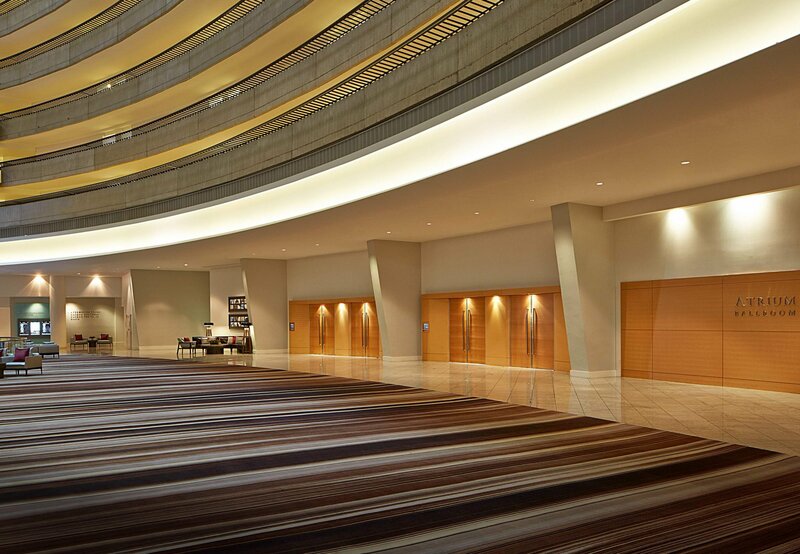 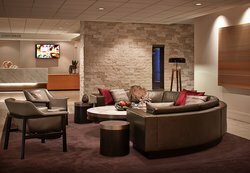 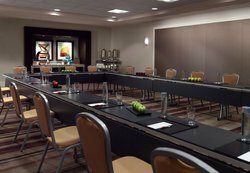 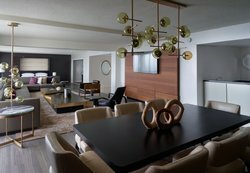 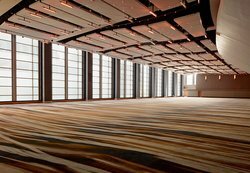 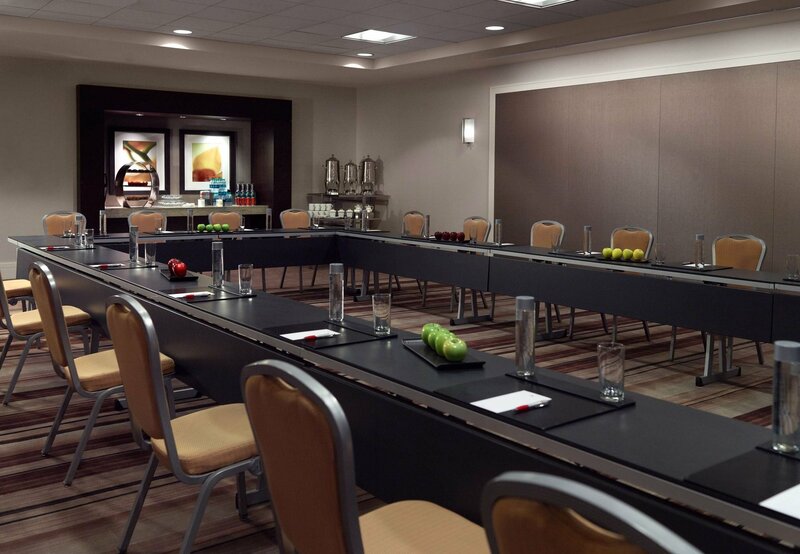 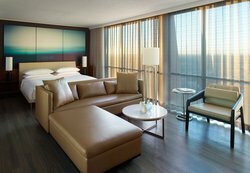 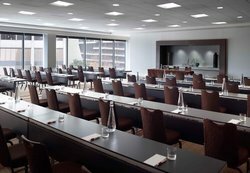 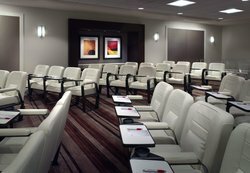 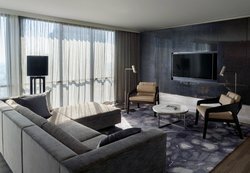 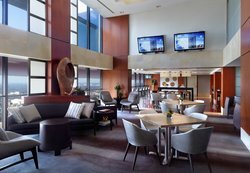 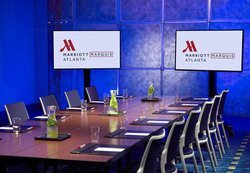 Rising as the preeminent meetings terminus of the South, Atlanta Marriott Marquis boasts more than 160,000 square feet of meeting space, making us the preferred hotel among savvy travelers.